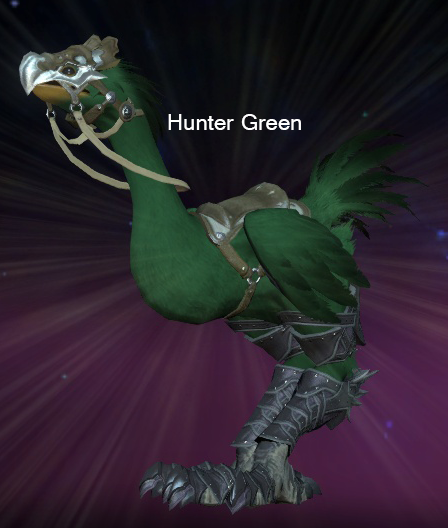 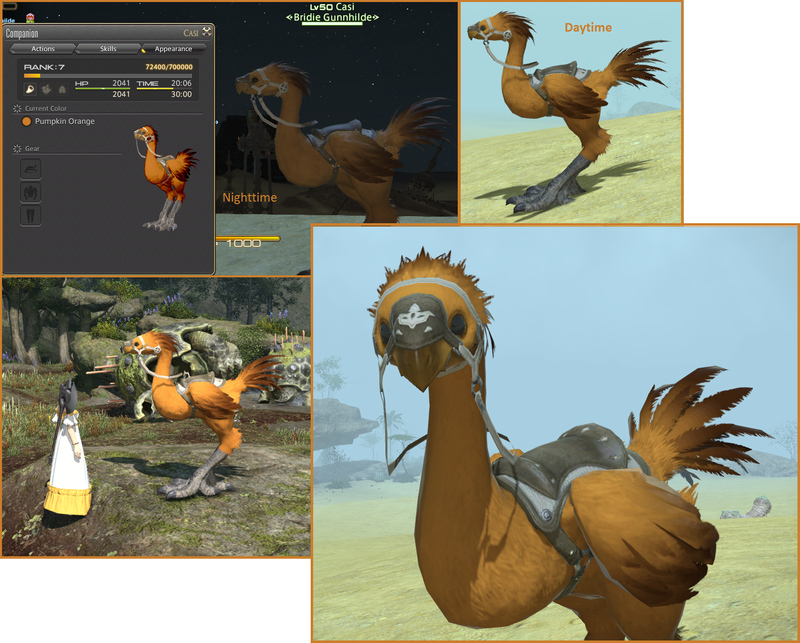 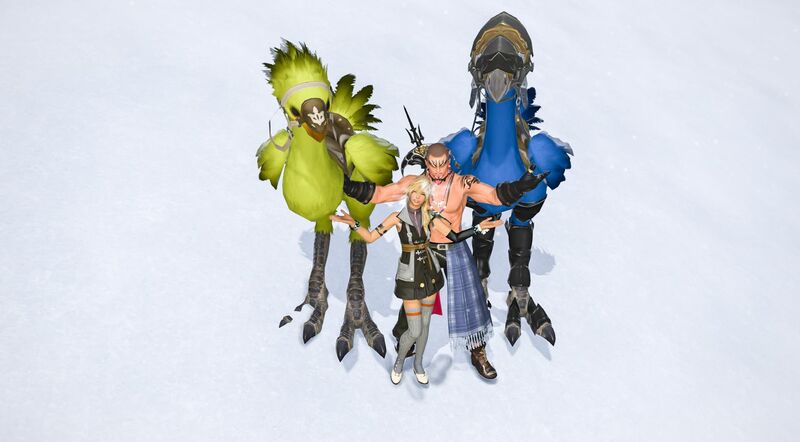 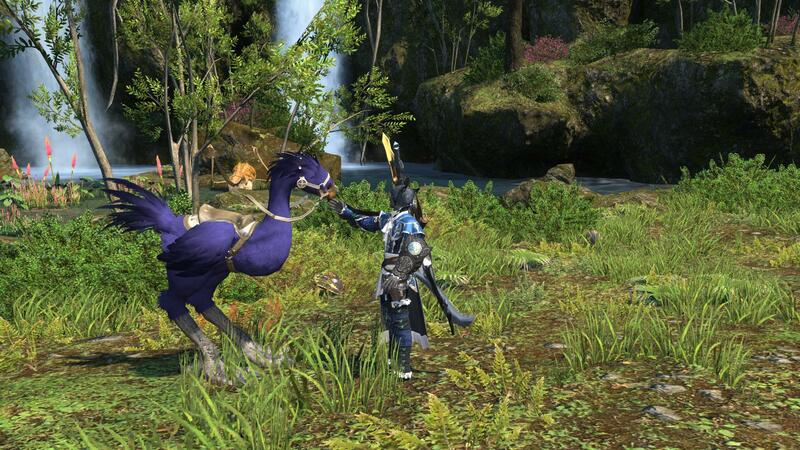 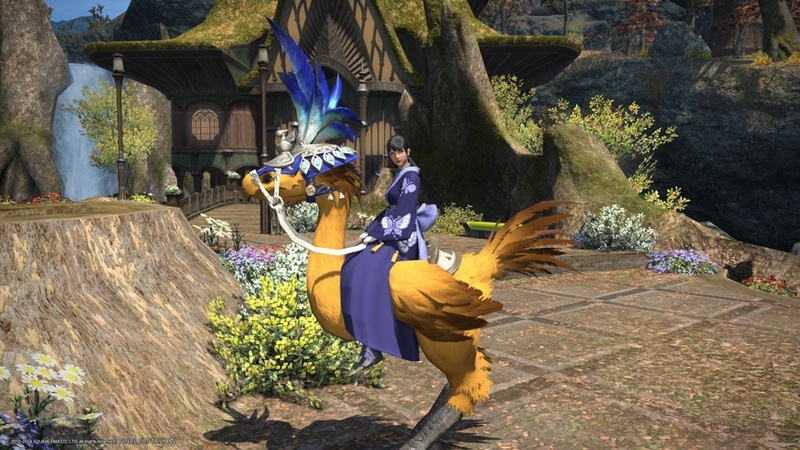 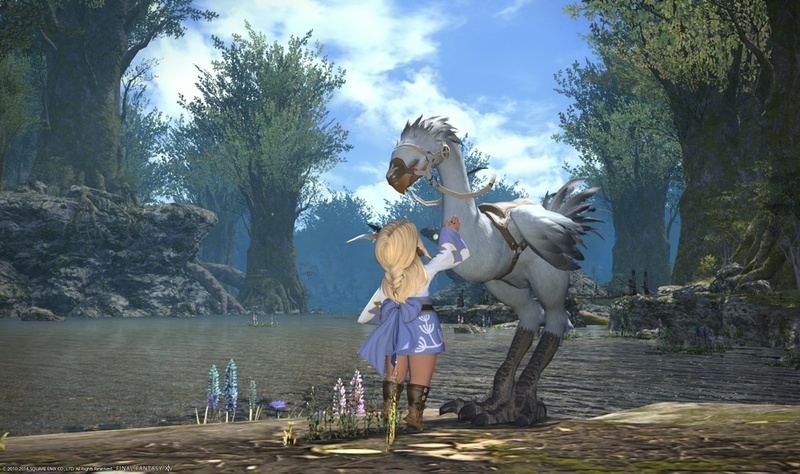 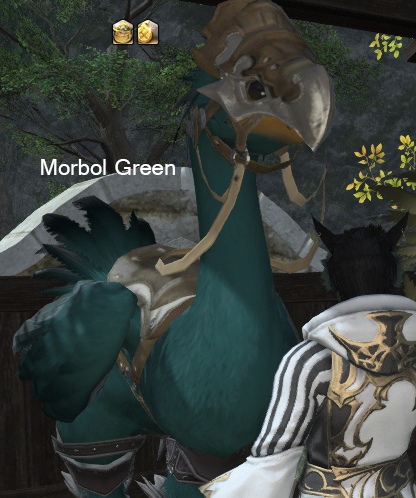 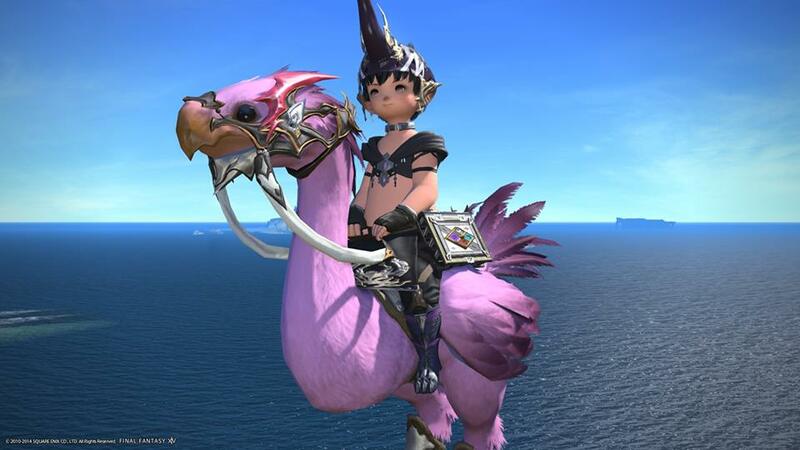 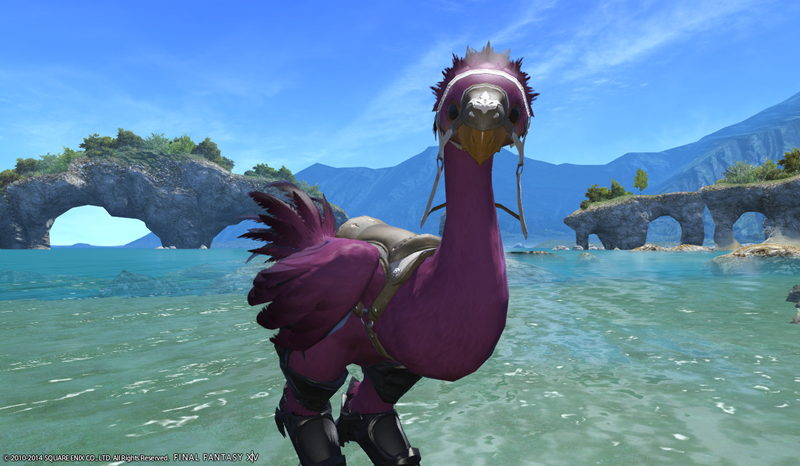 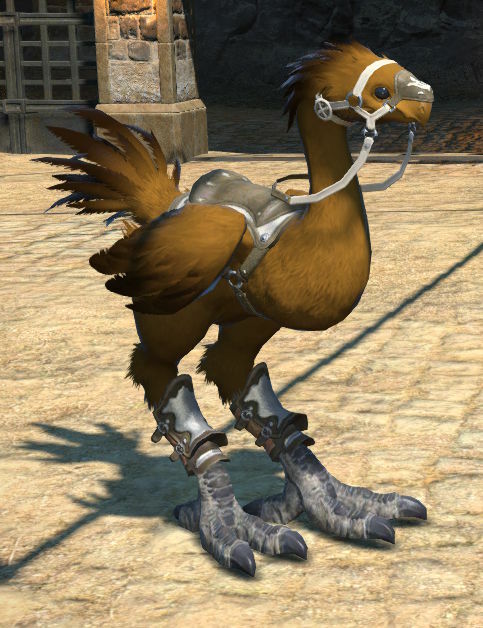 I wanted to start a thread that showcases the different chocobo colors so that if someone doesn't know what they want, or wants to see a certain color, they can come here instead of trying to dig through a 200+ post thread! 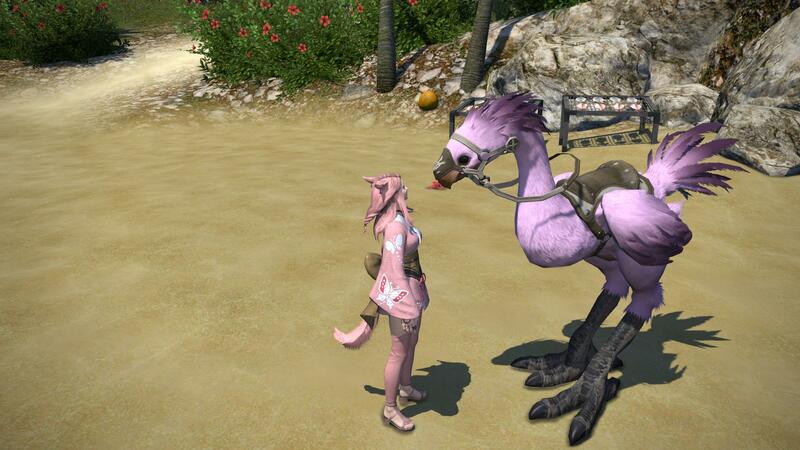 Sprinkles when she was Rose Pink, she's now Colibri Pink, maybe i'll upload a new SS soon. 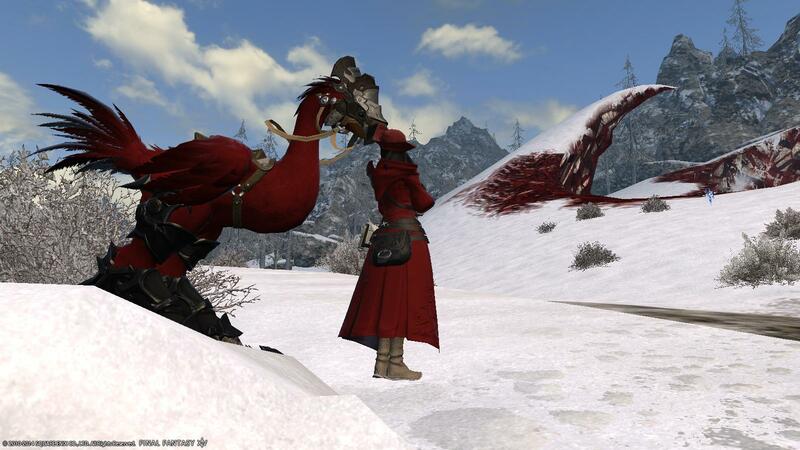 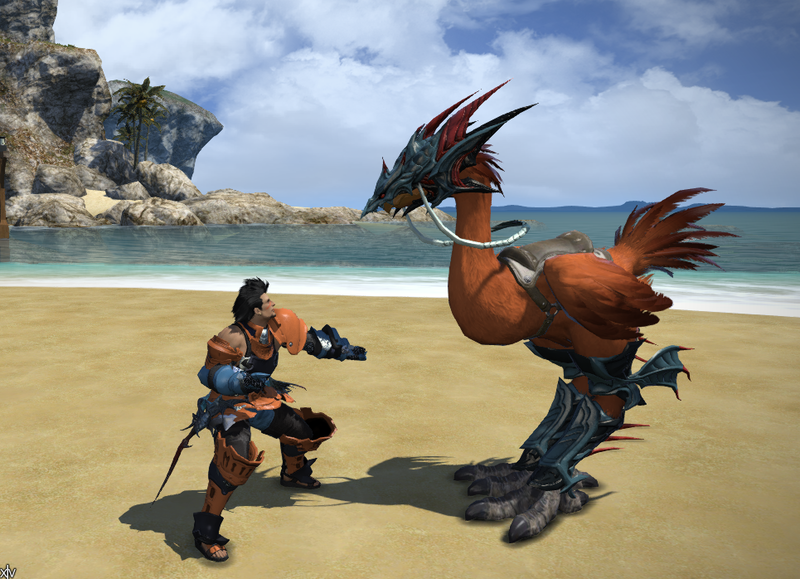 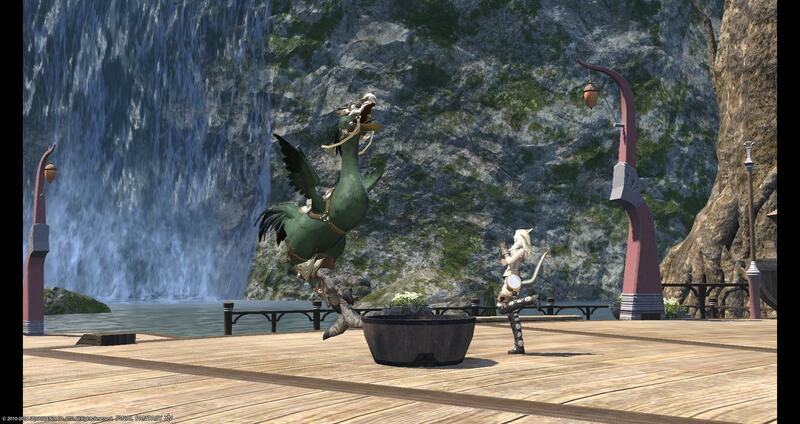 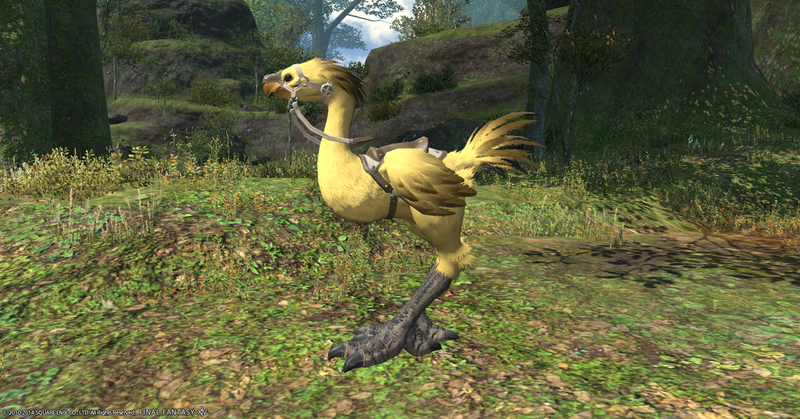 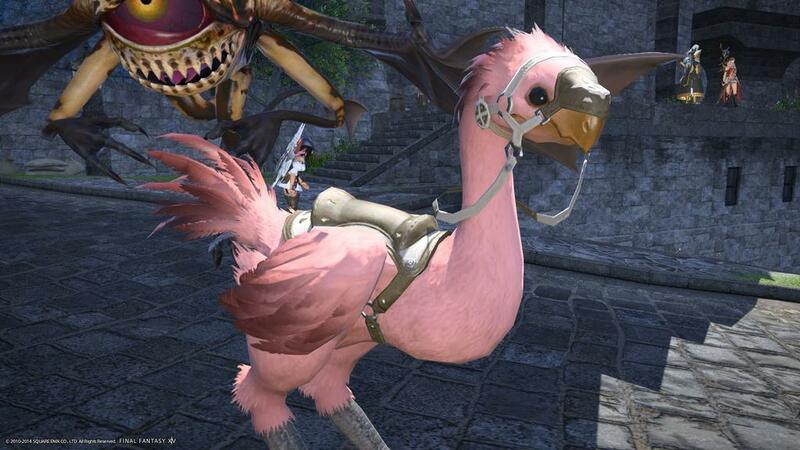 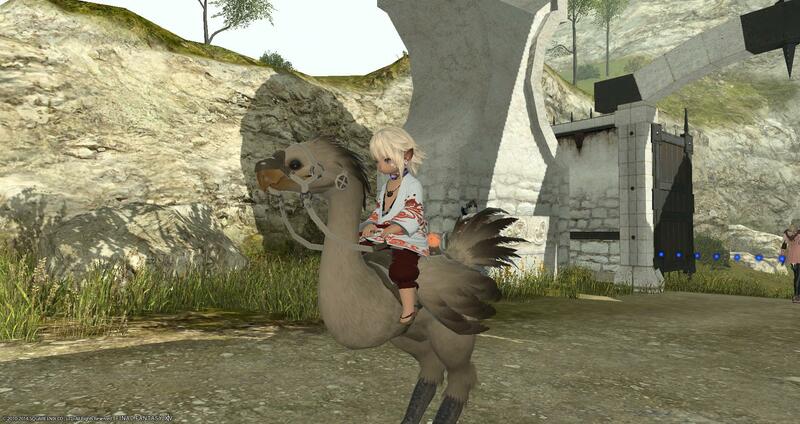 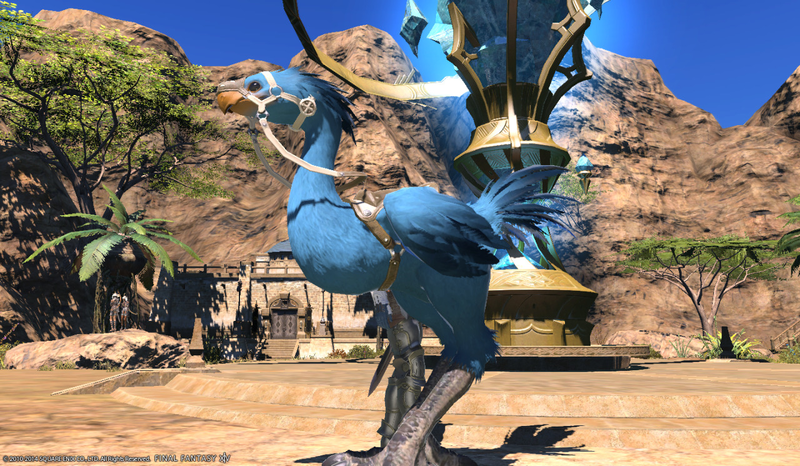 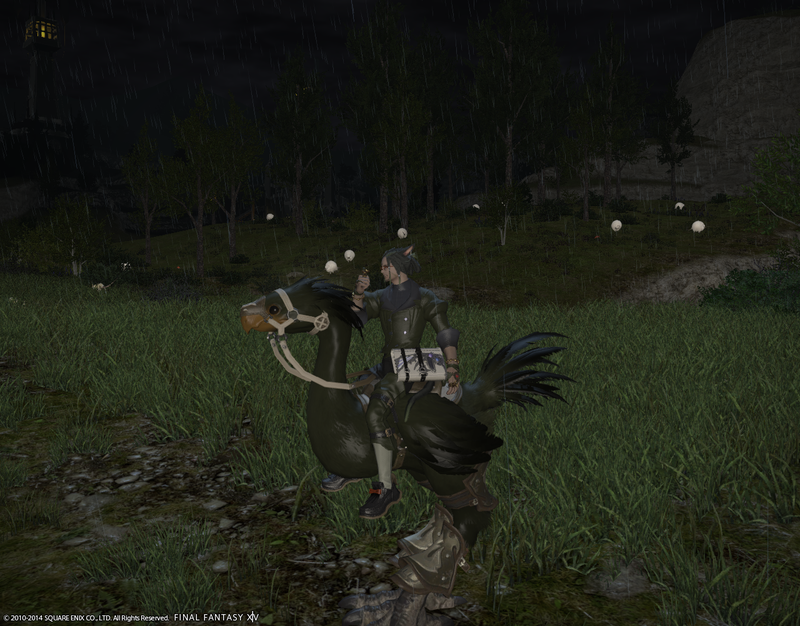 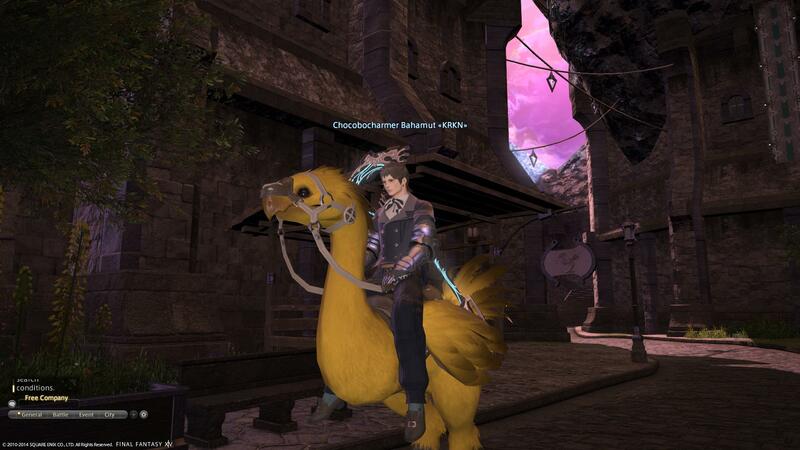 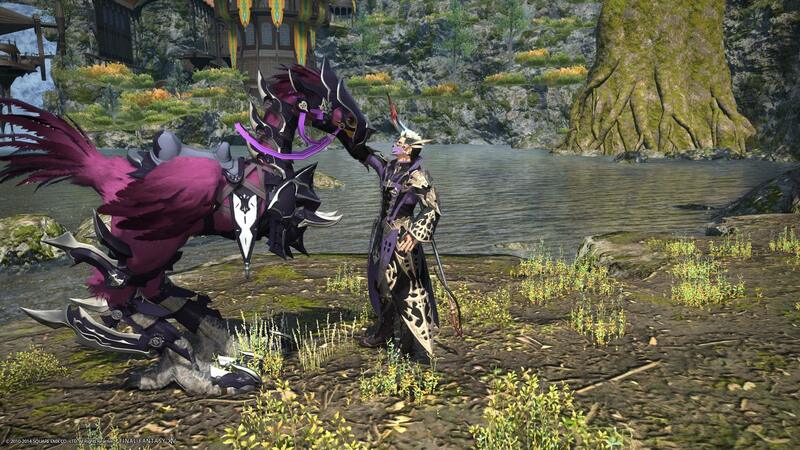 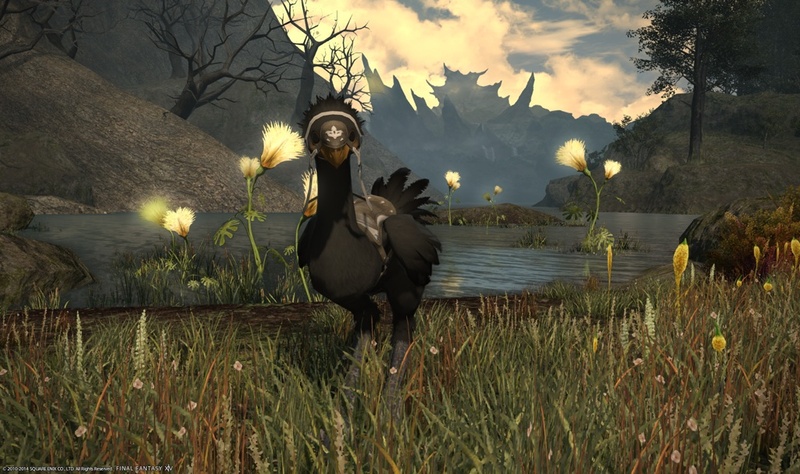 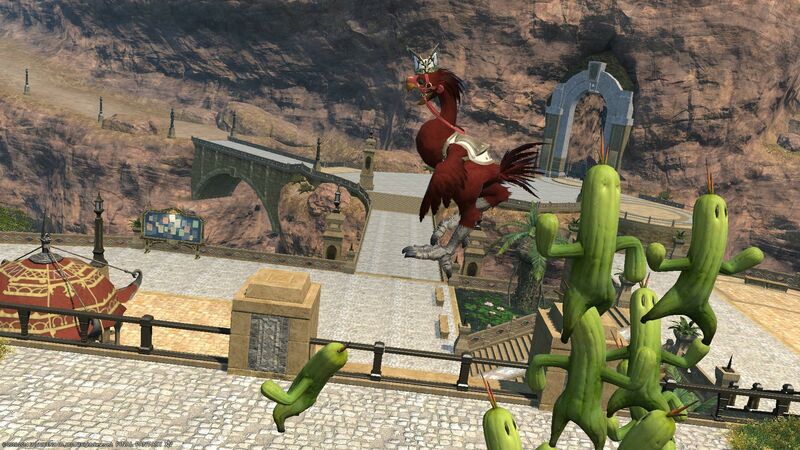 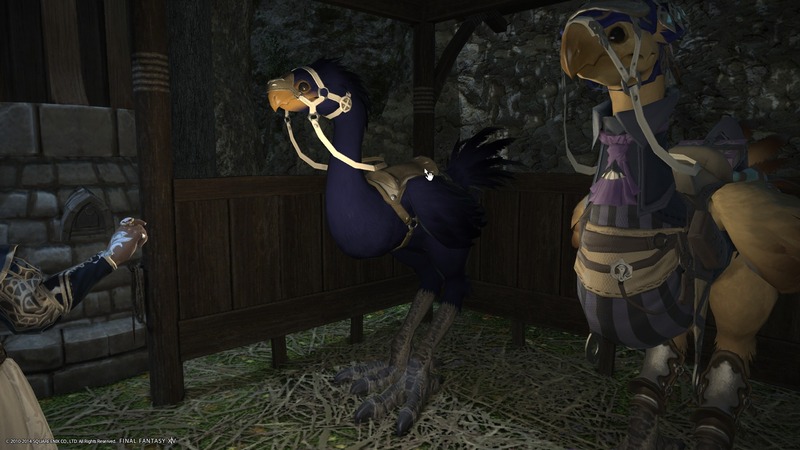 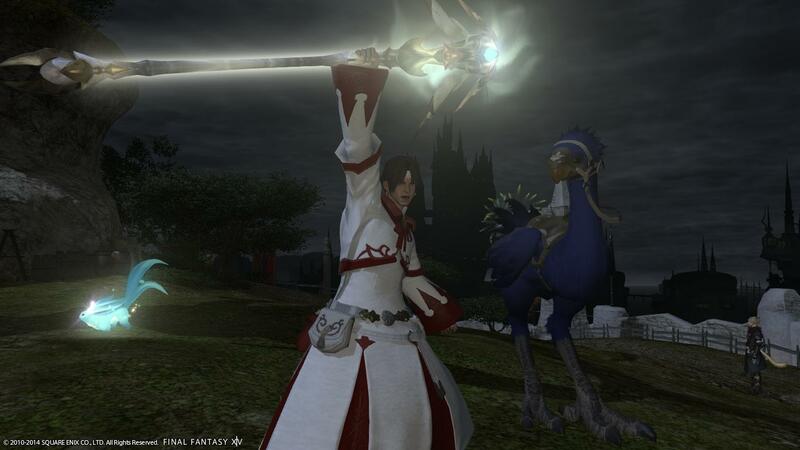 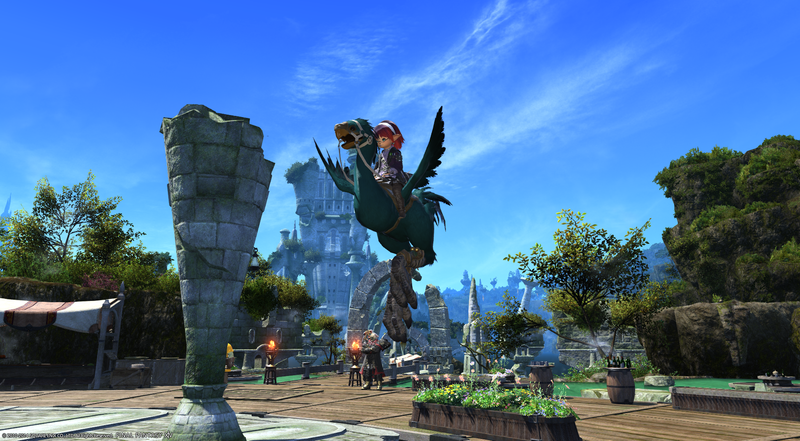 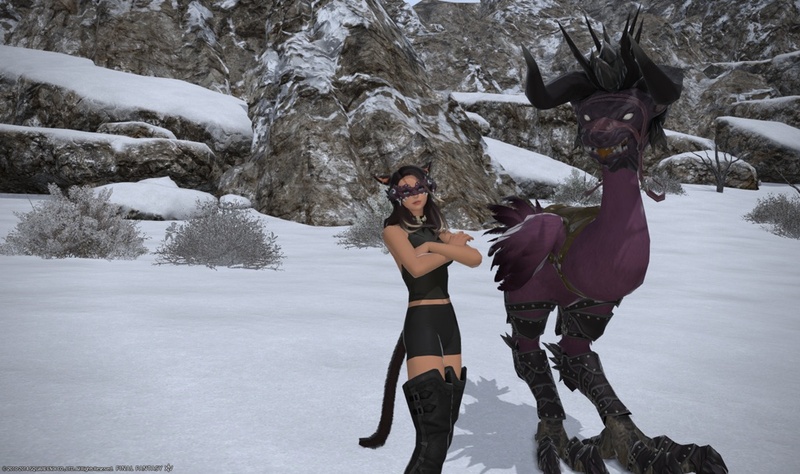 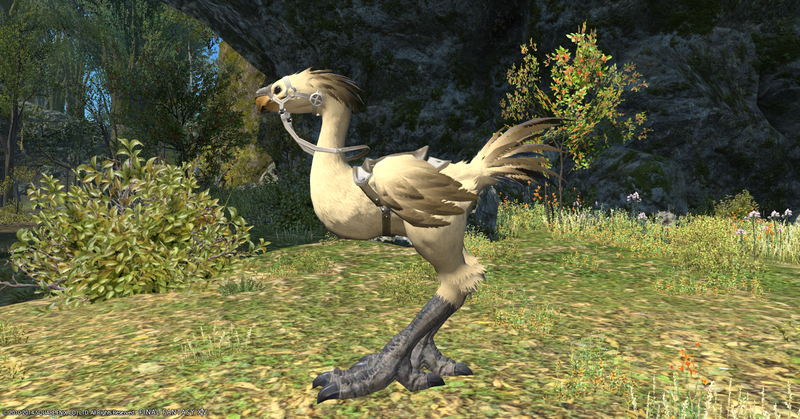 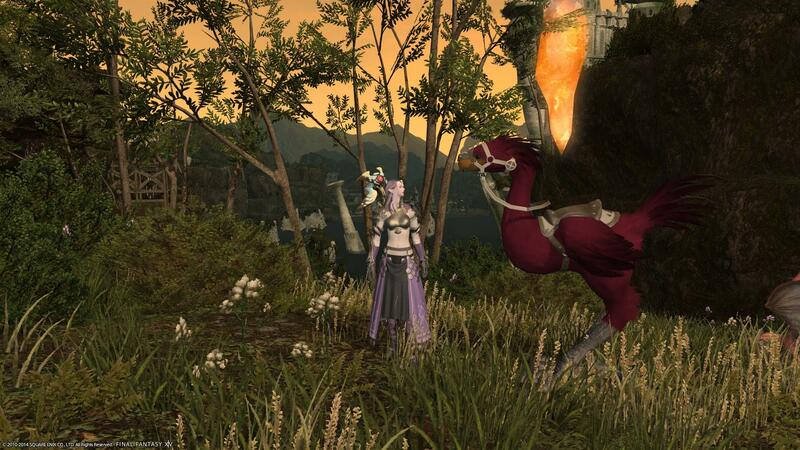 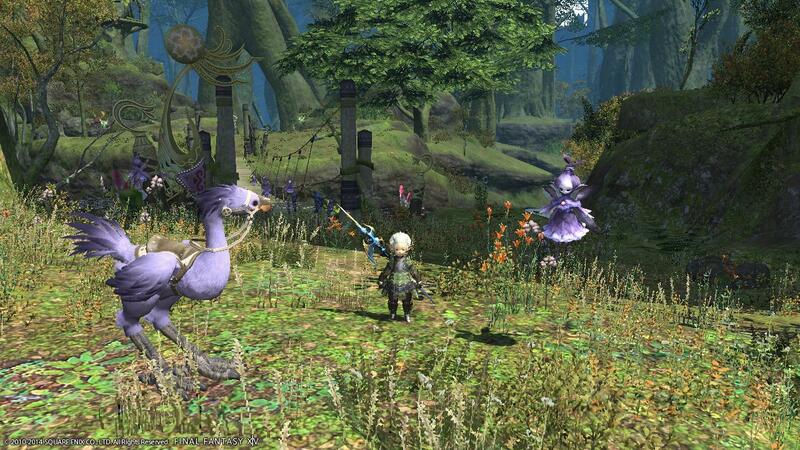 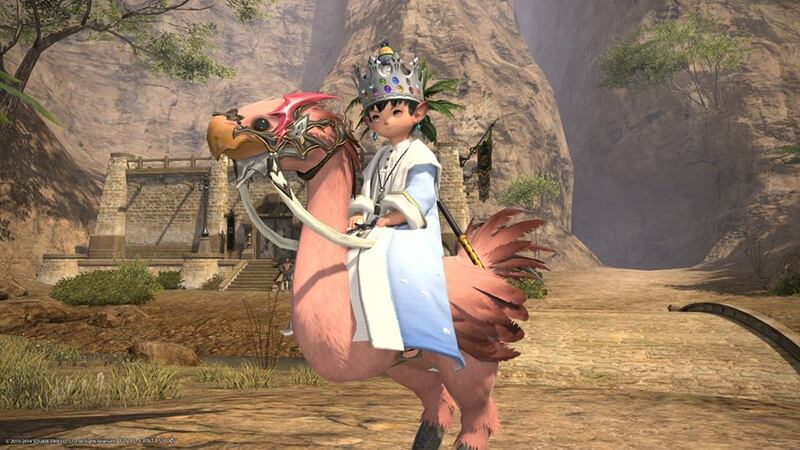 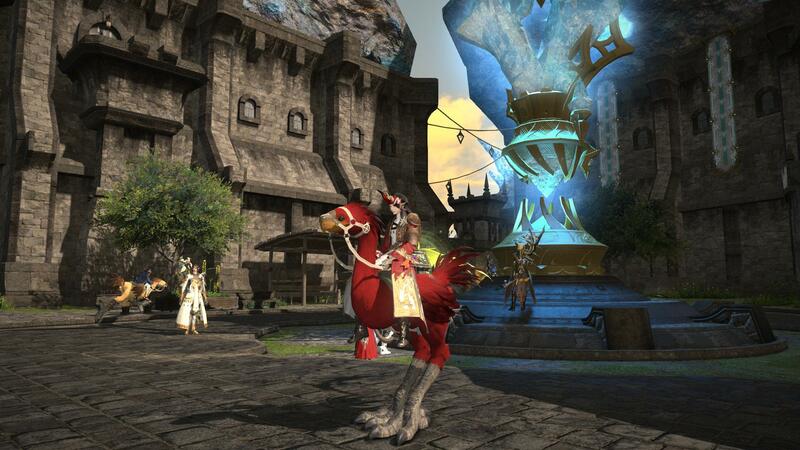 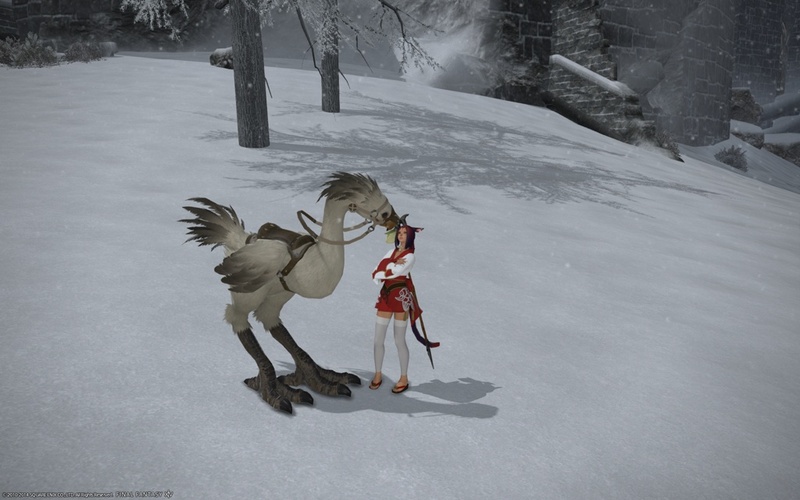 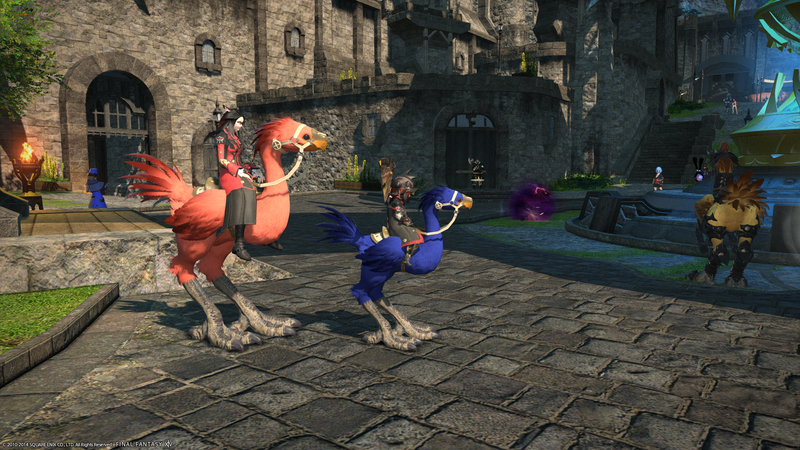 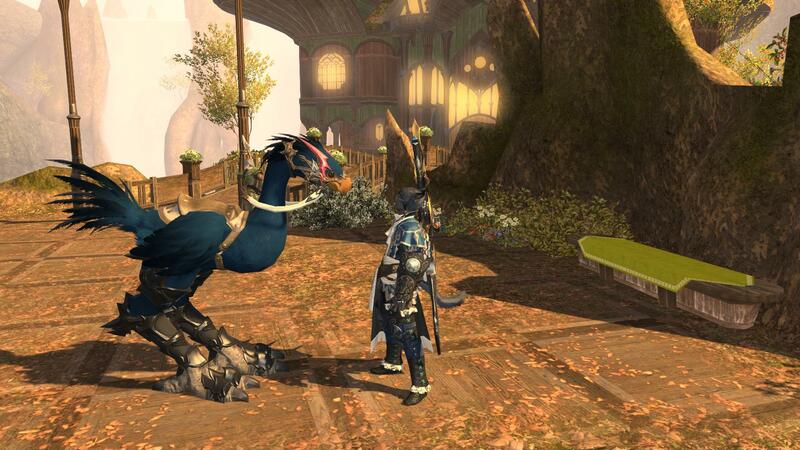 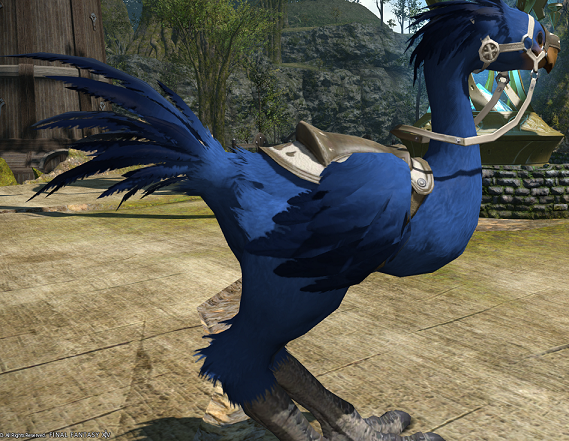 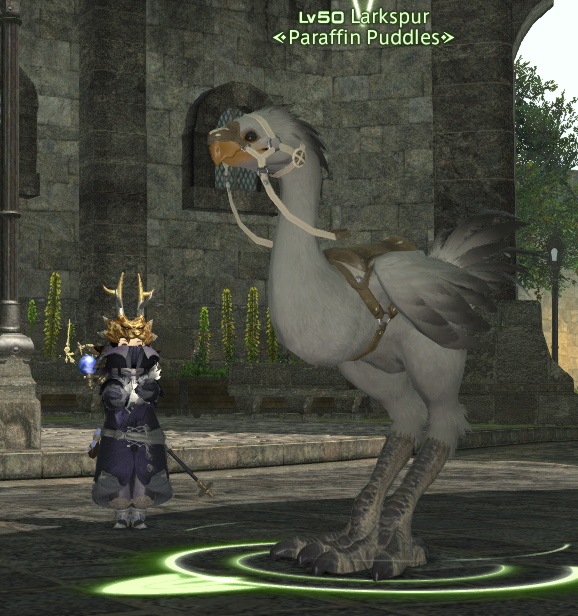 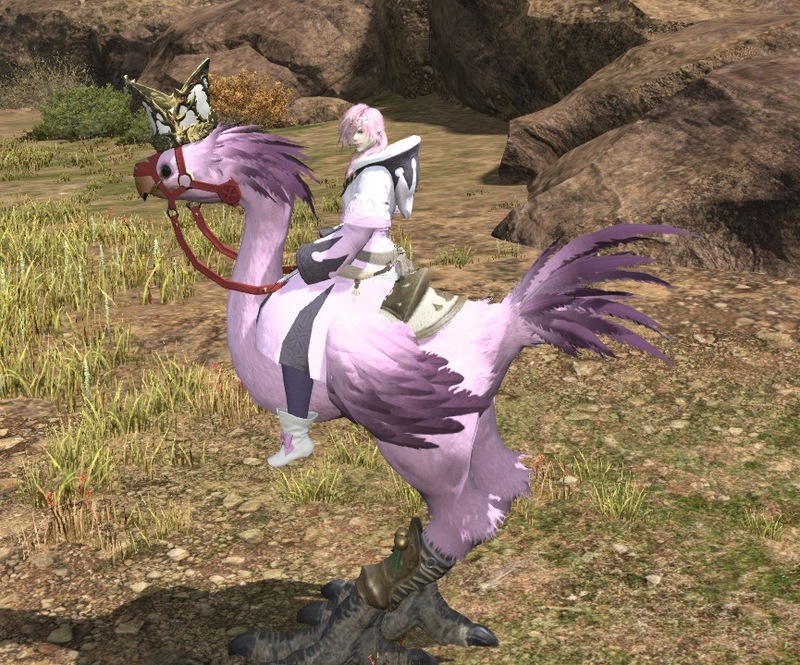 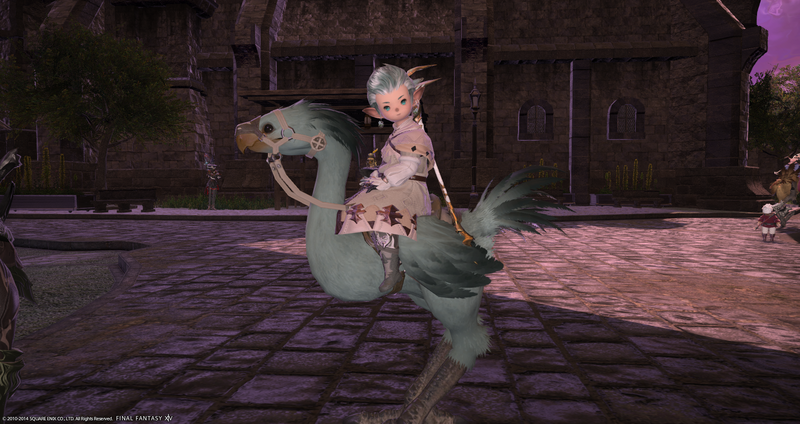 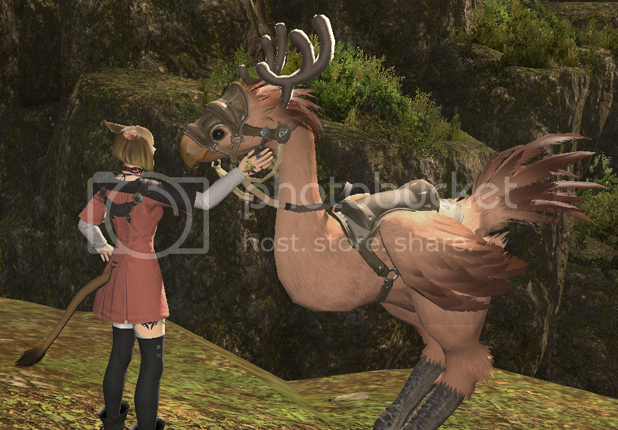 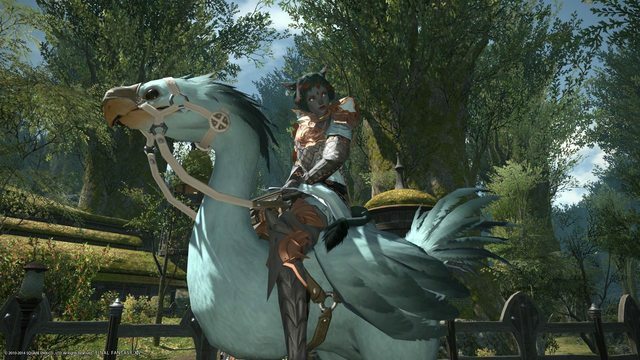 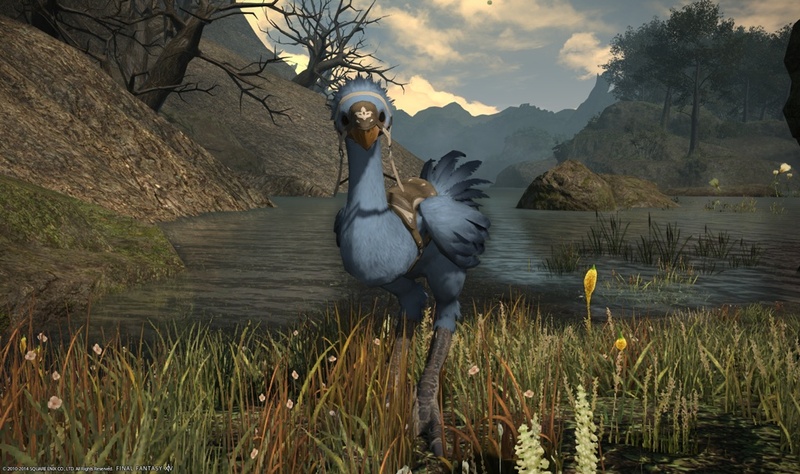 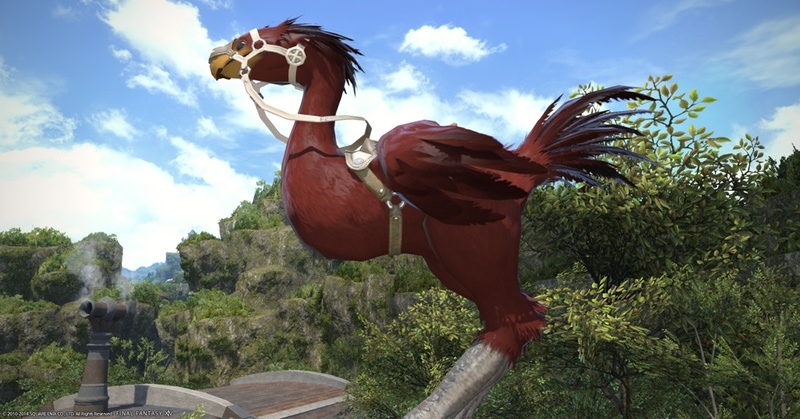 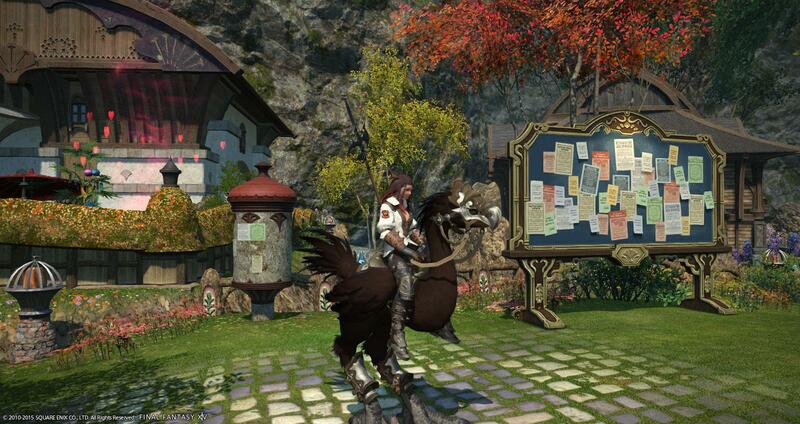 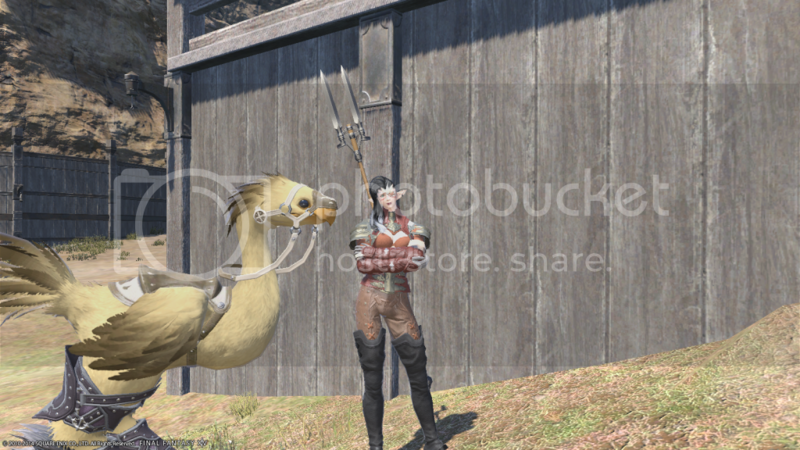 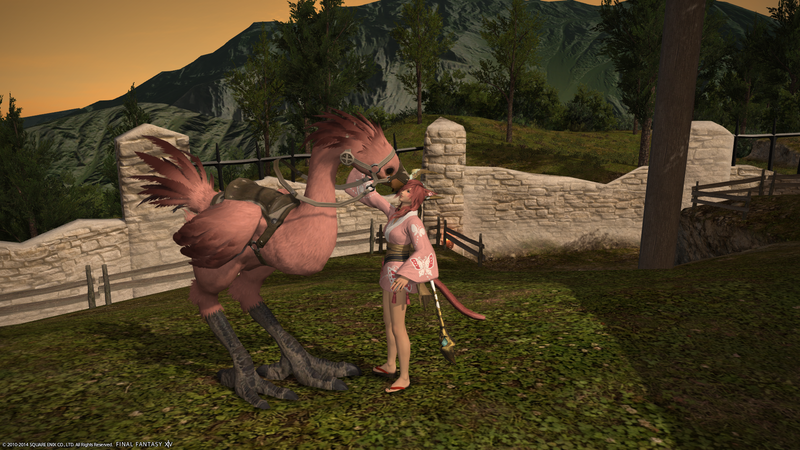 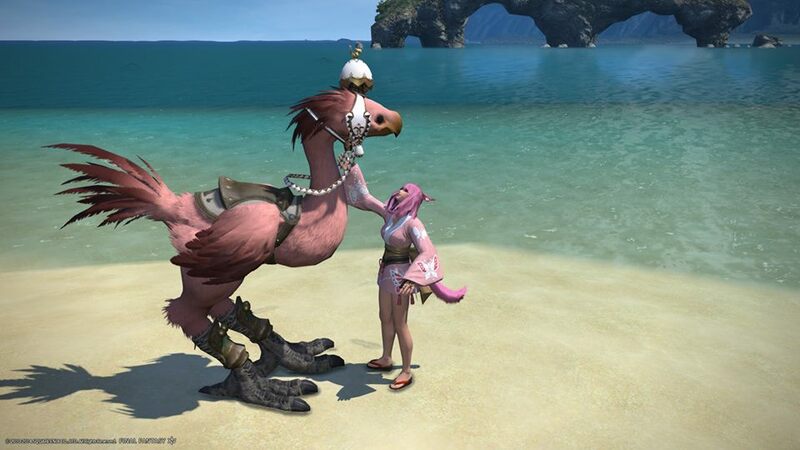 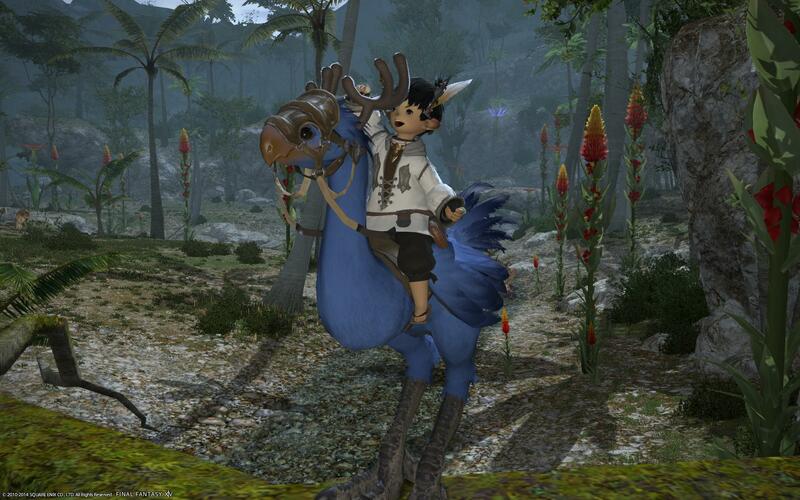 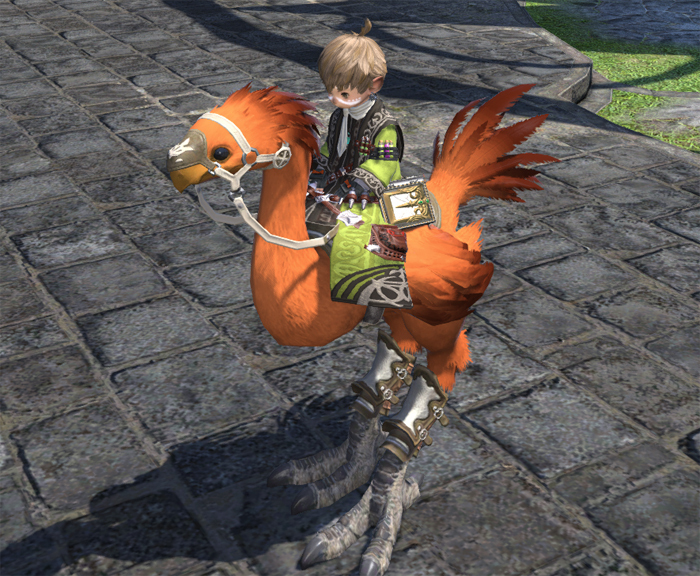 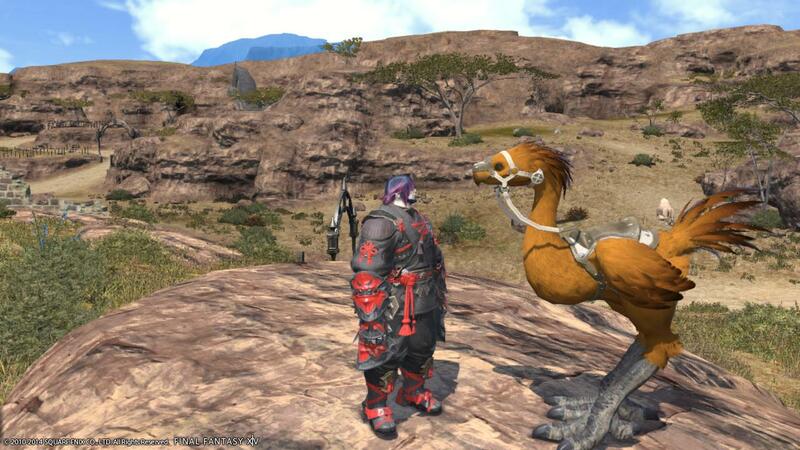 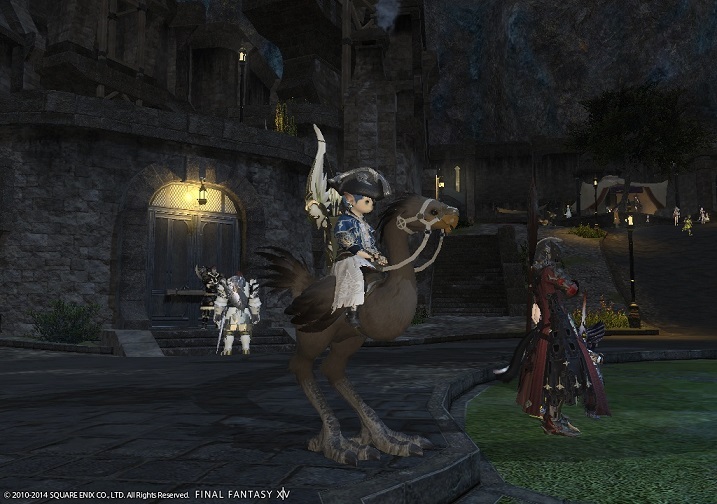 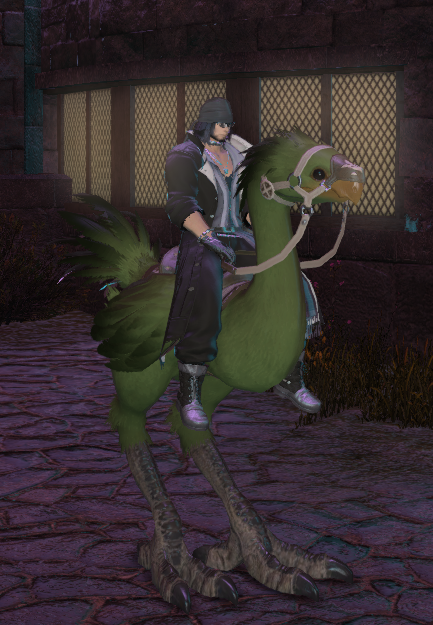 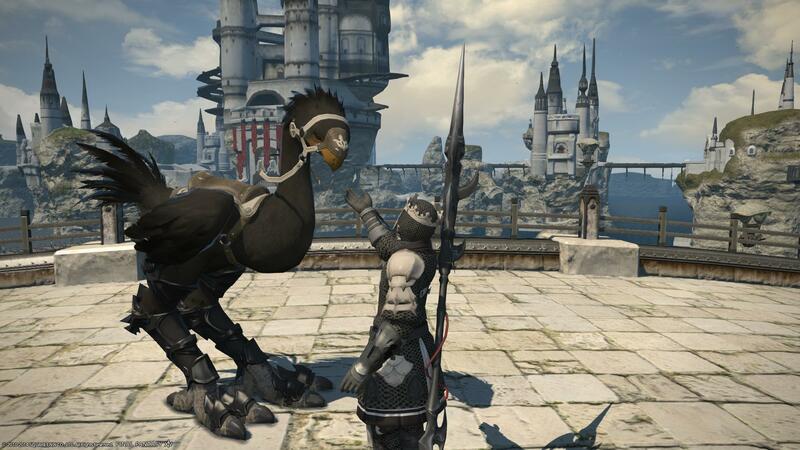 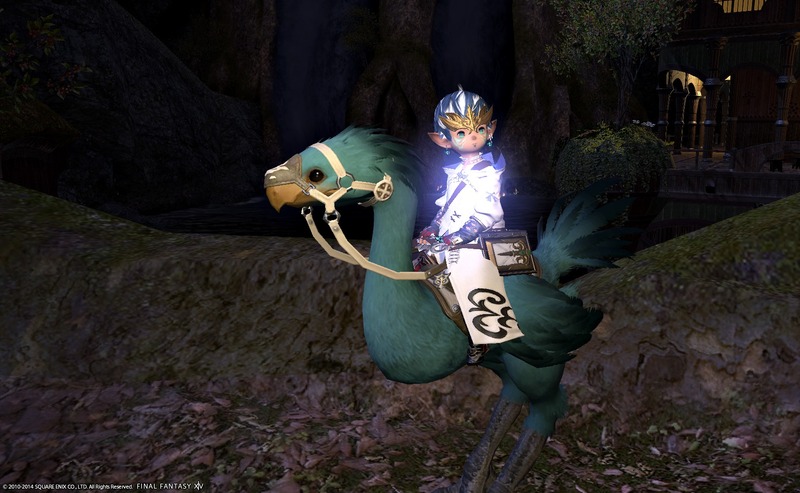 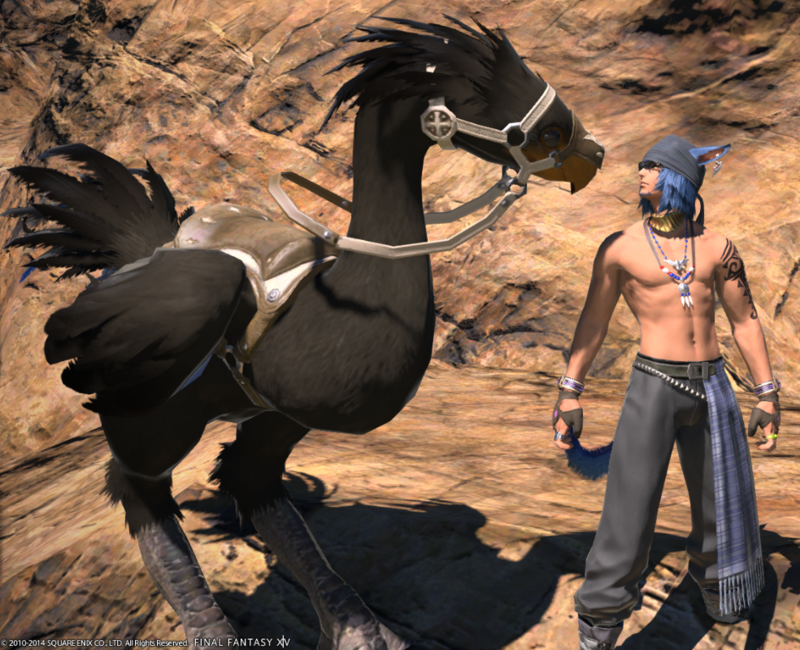 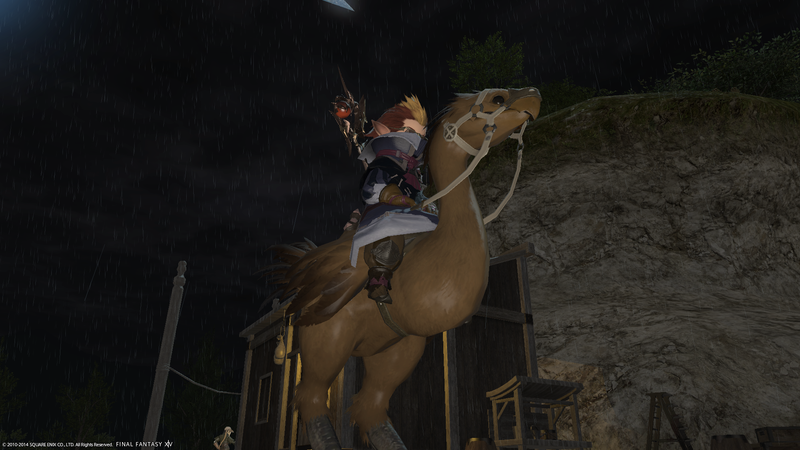 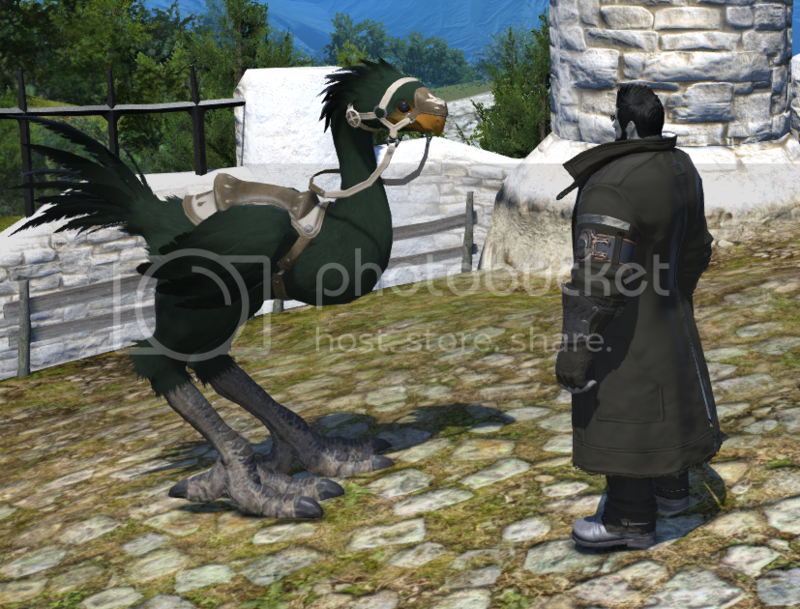 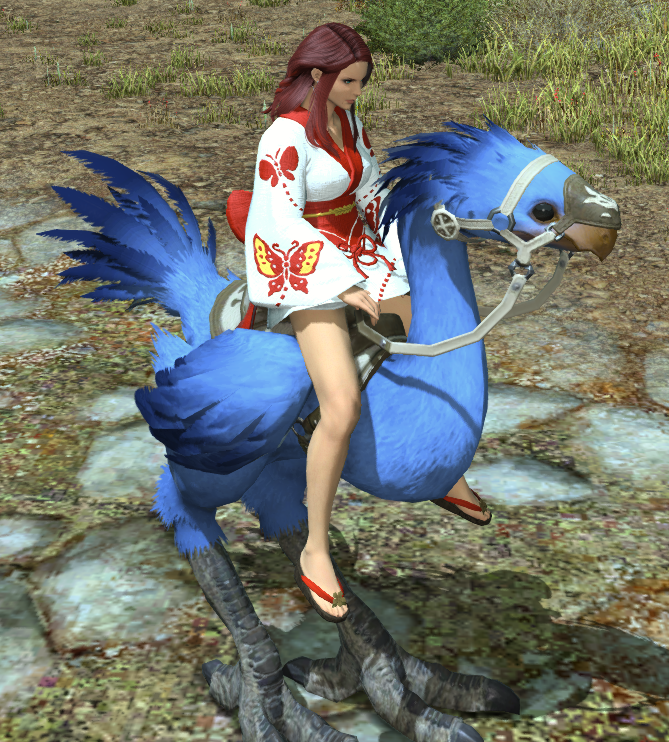 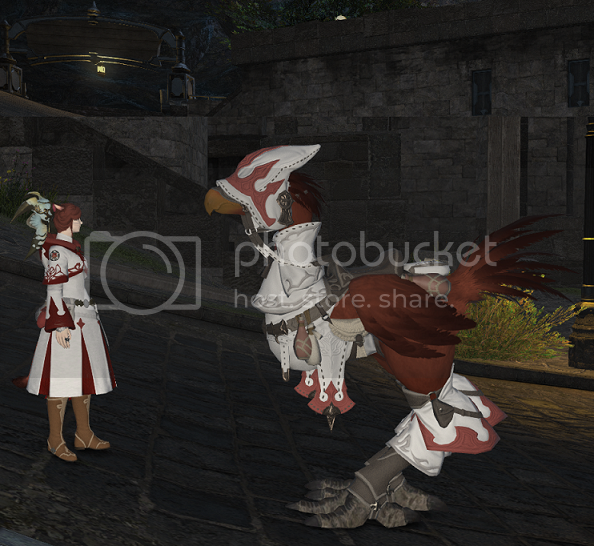 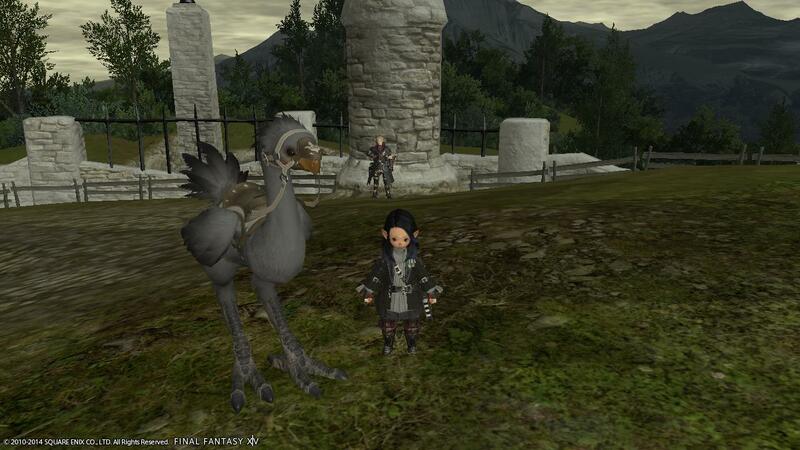 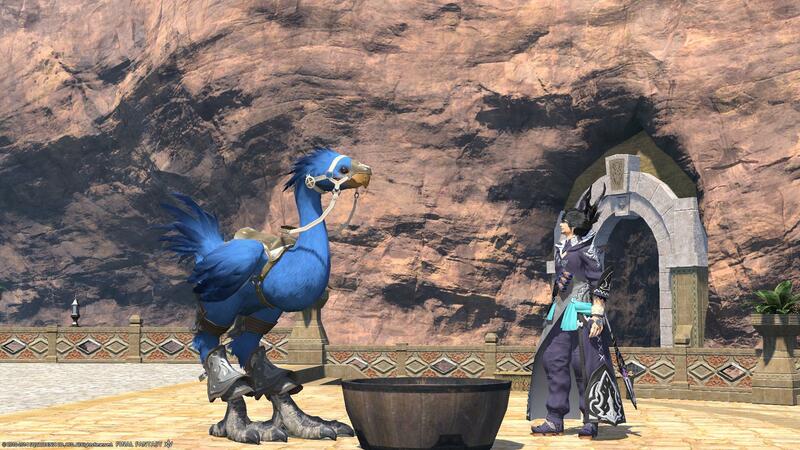 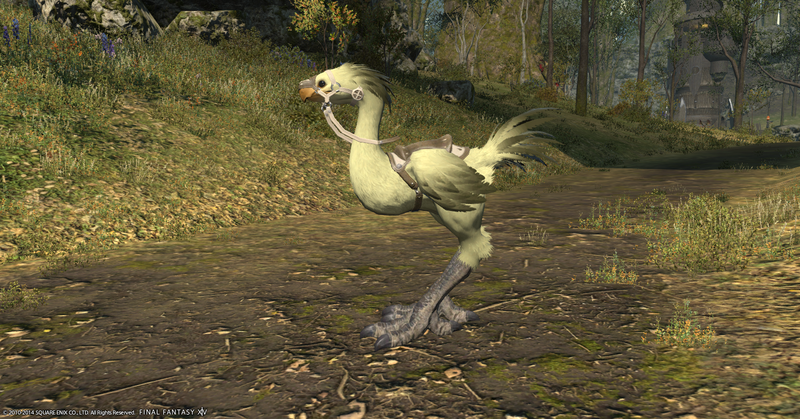 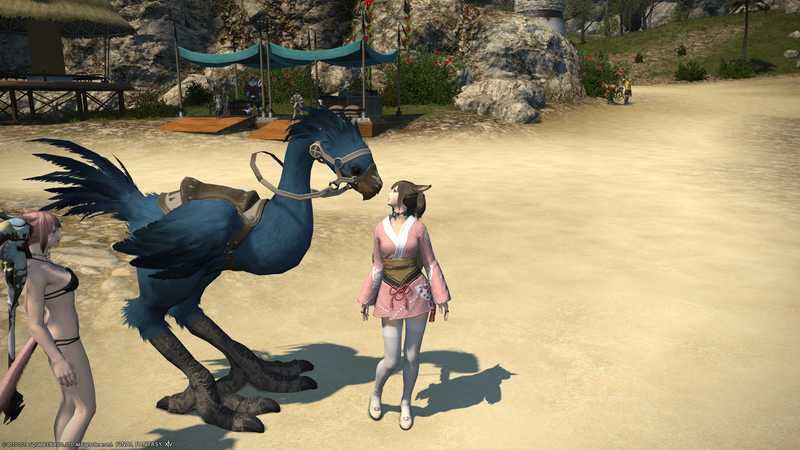 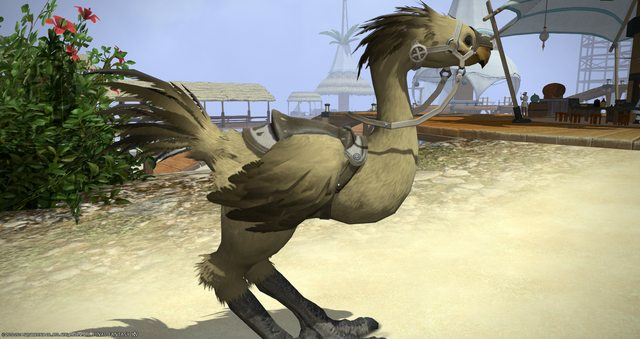 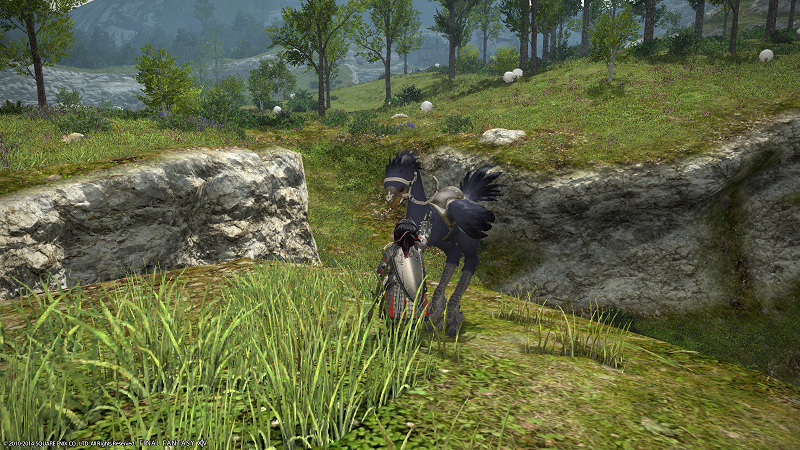 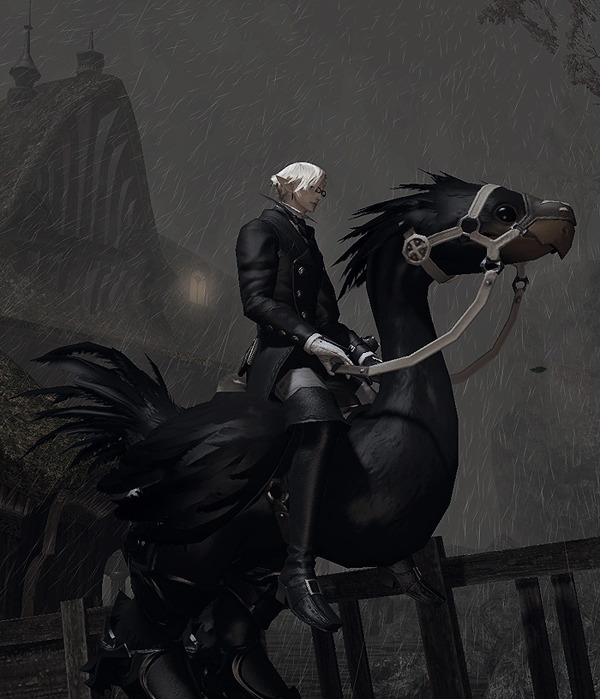 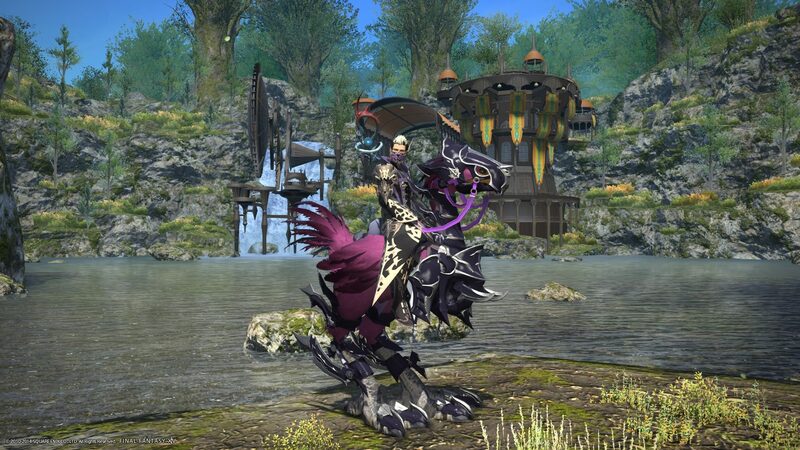 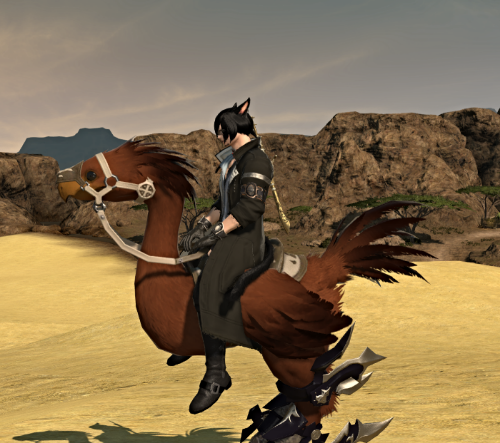 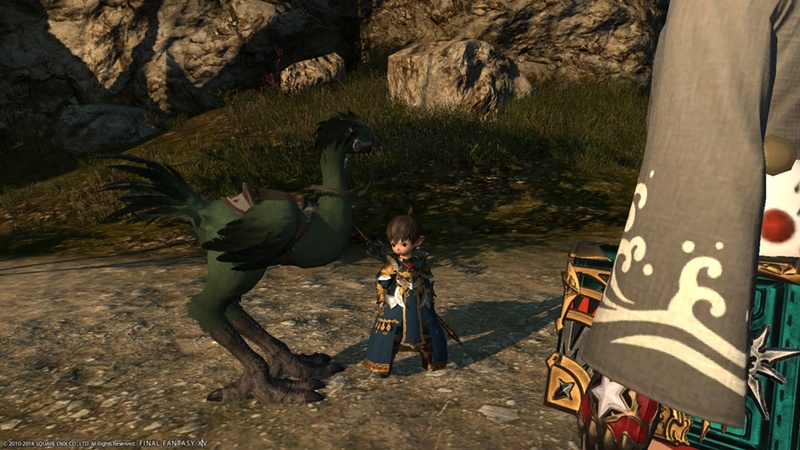 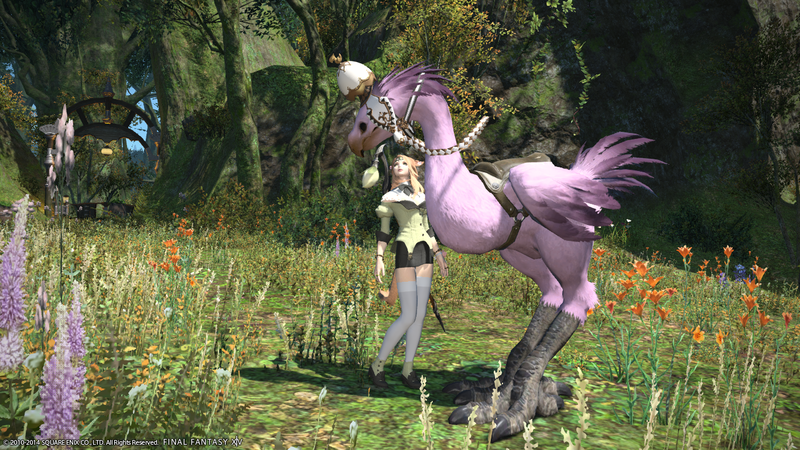 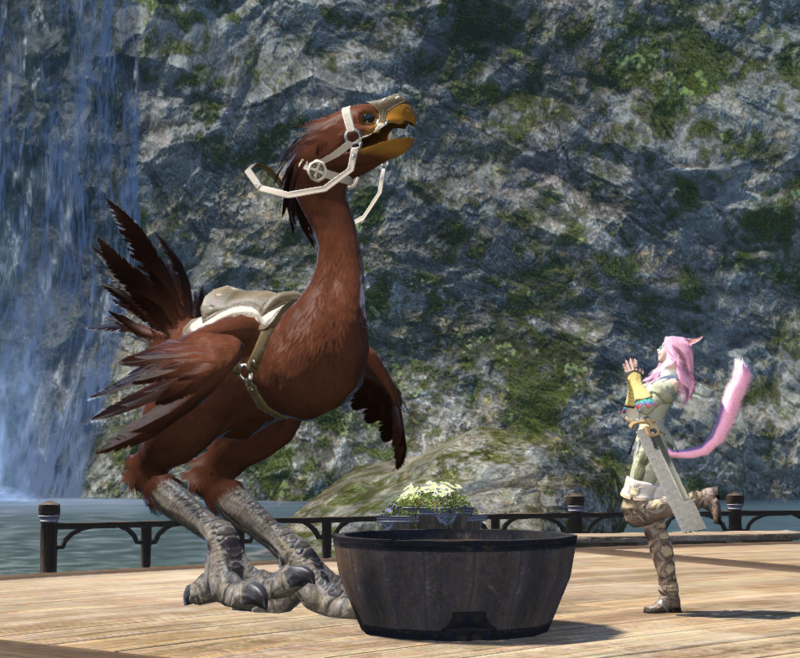 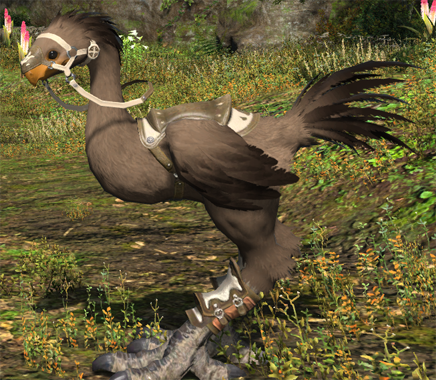 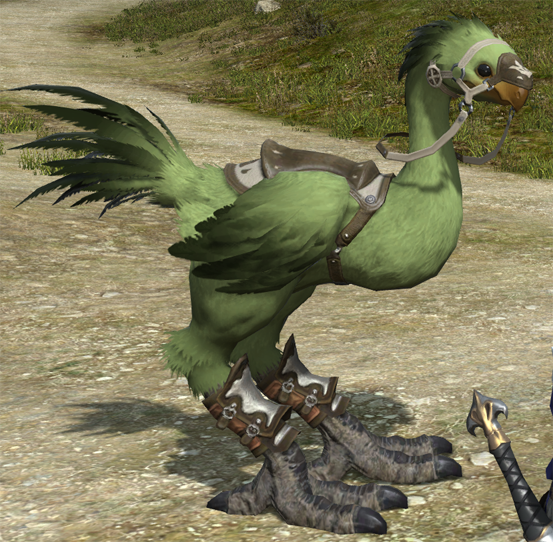 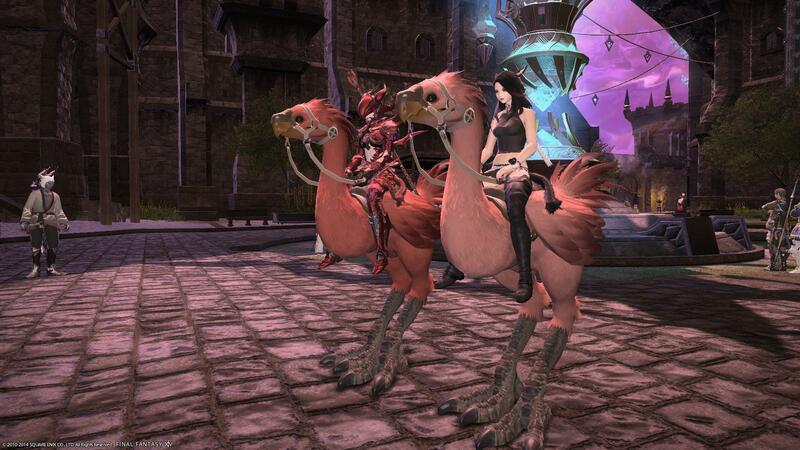 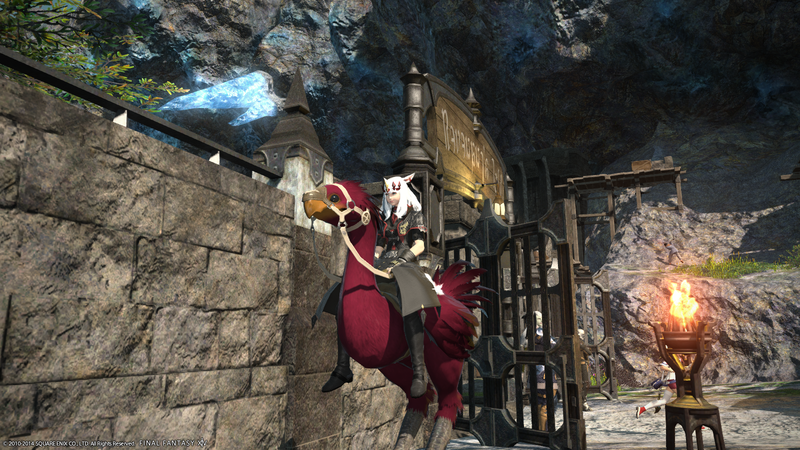 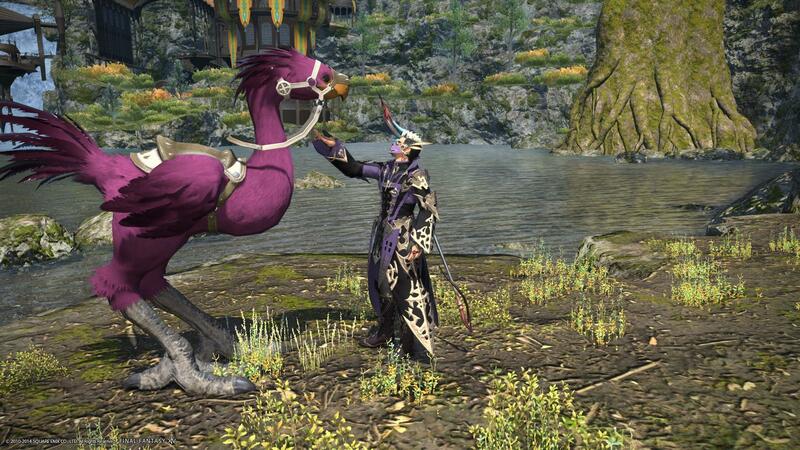 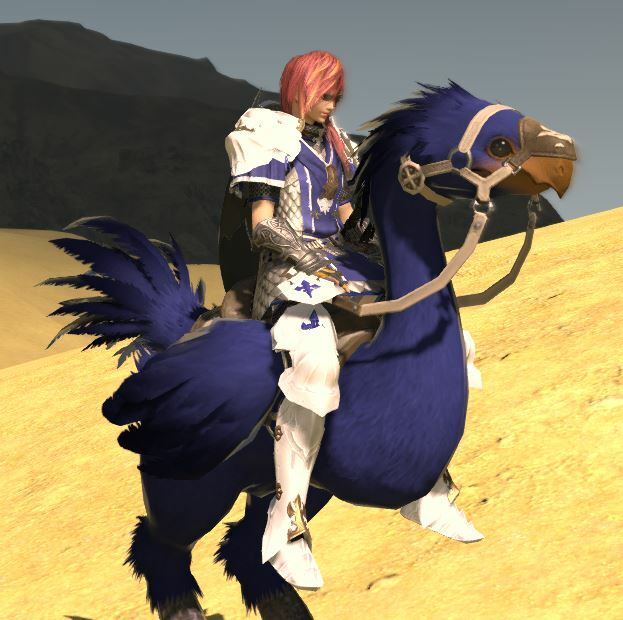 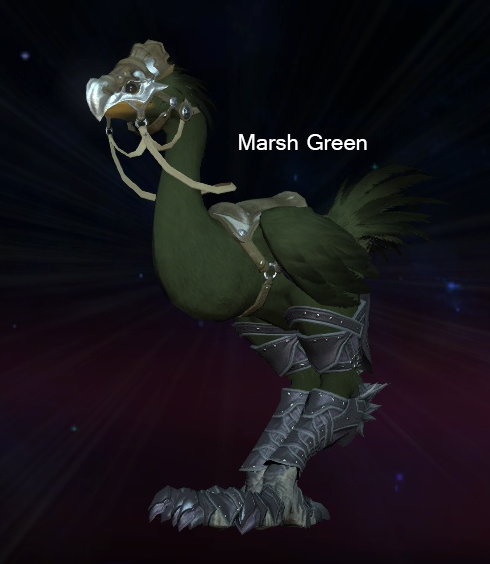 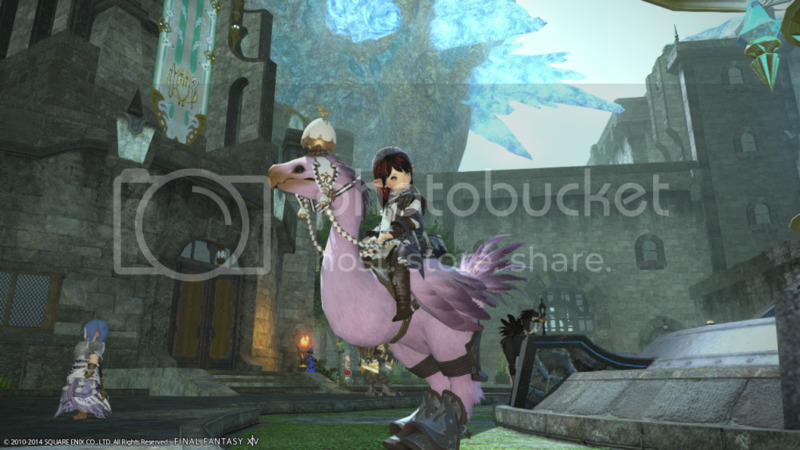 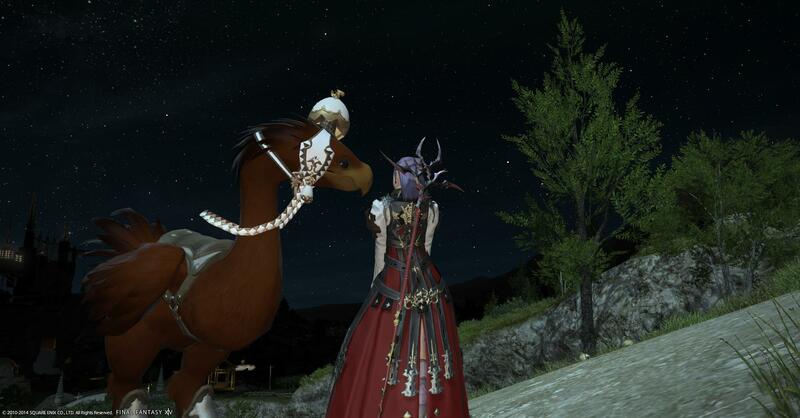 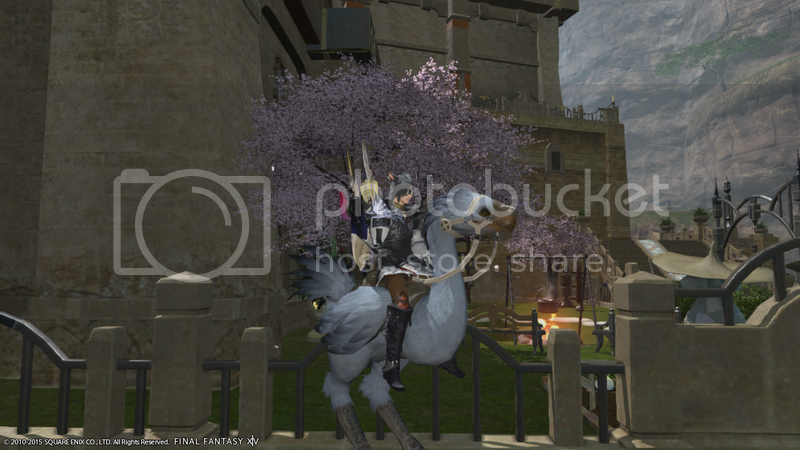 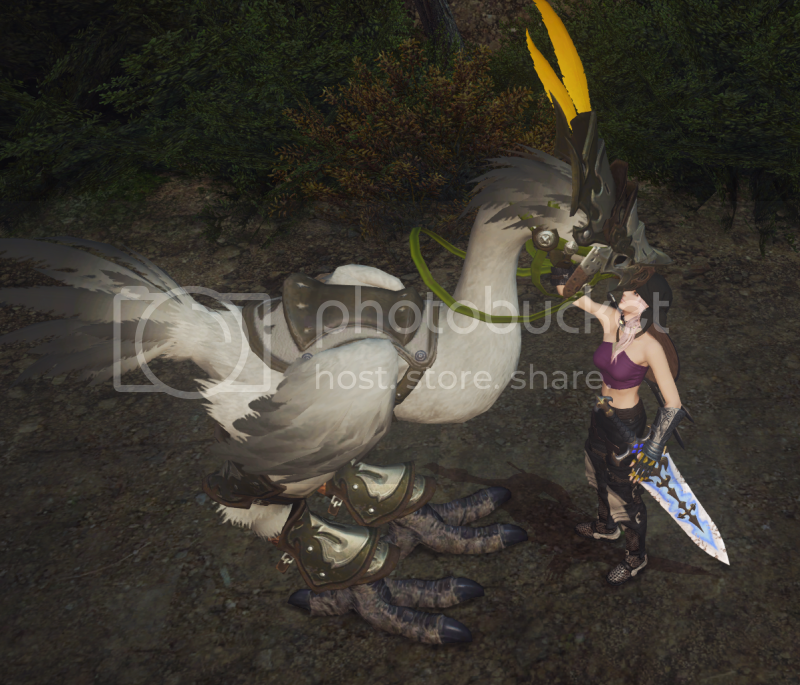 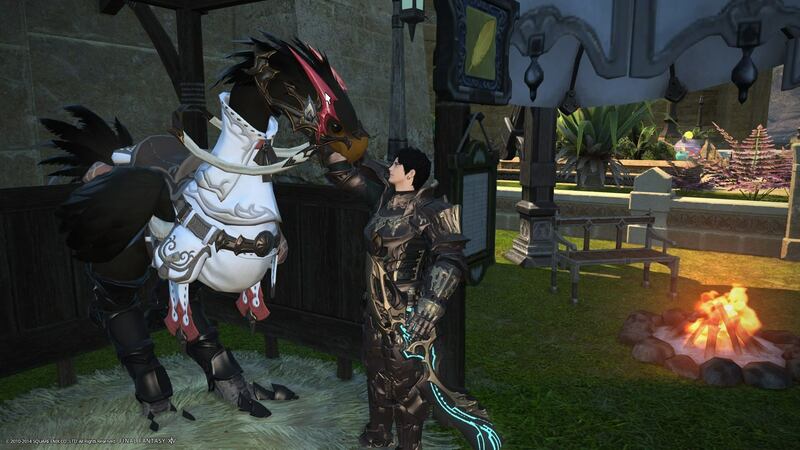 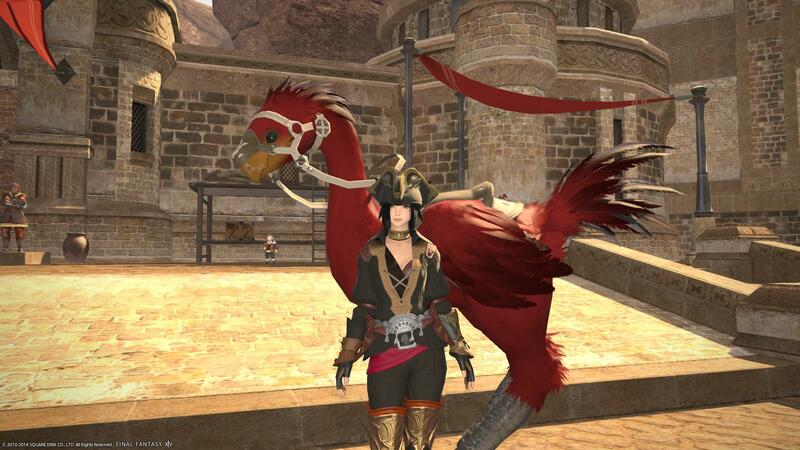 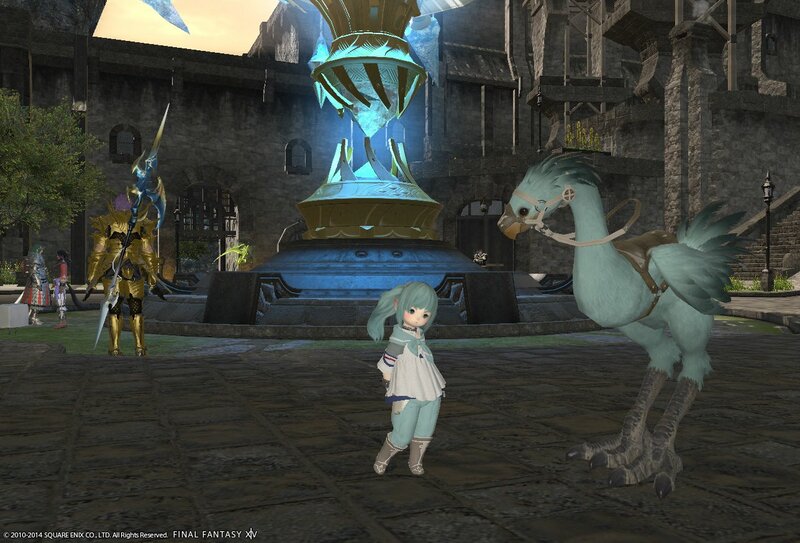 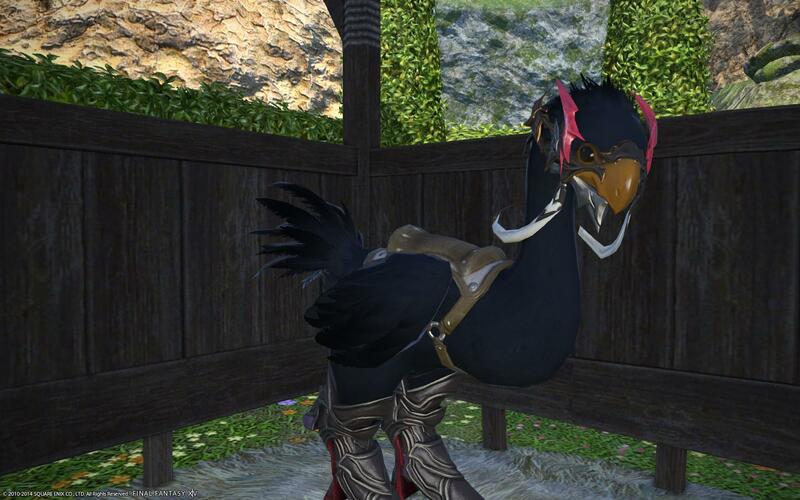 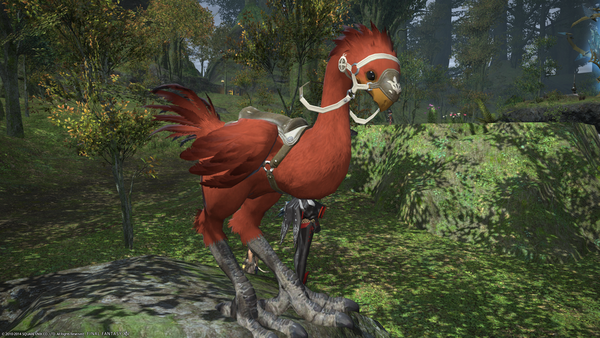 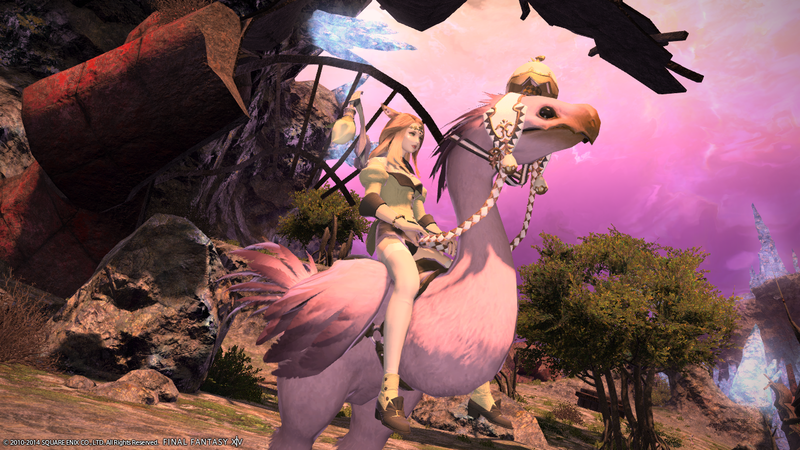 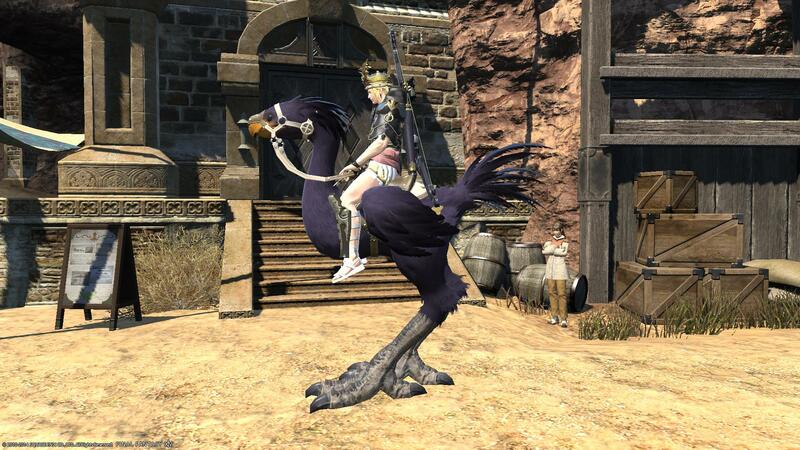 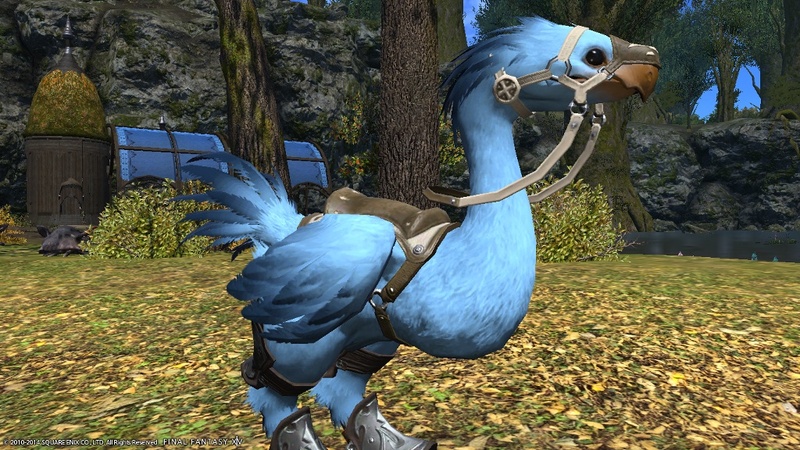 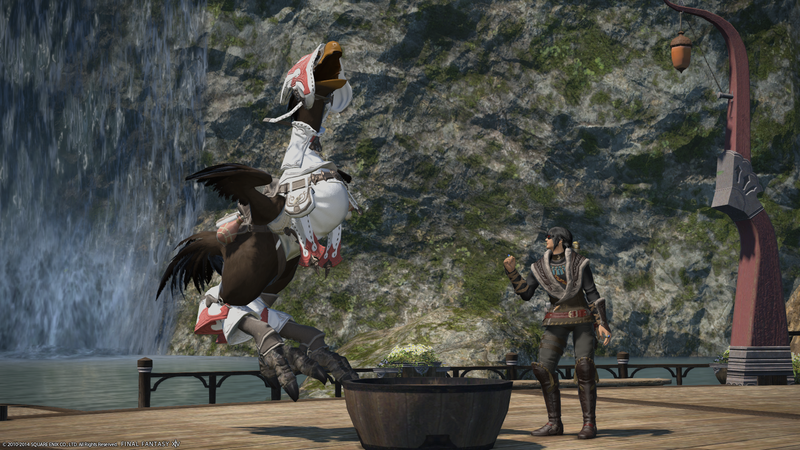 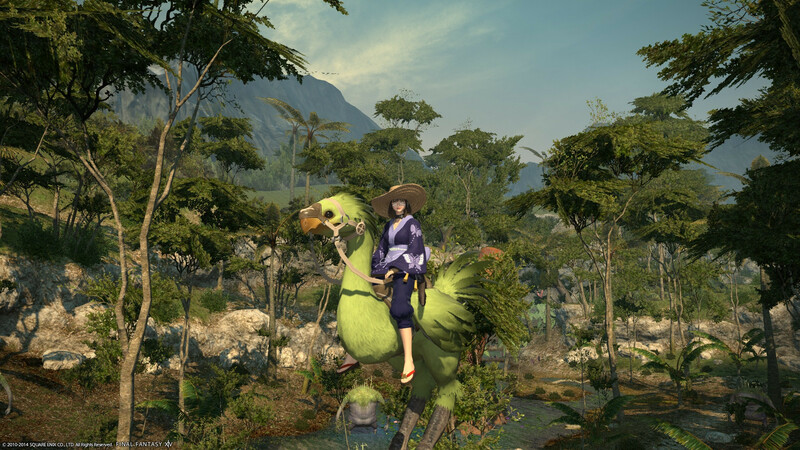 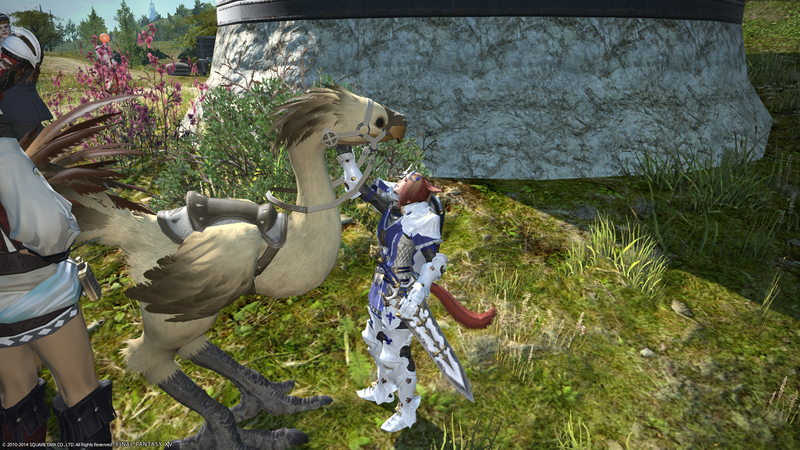 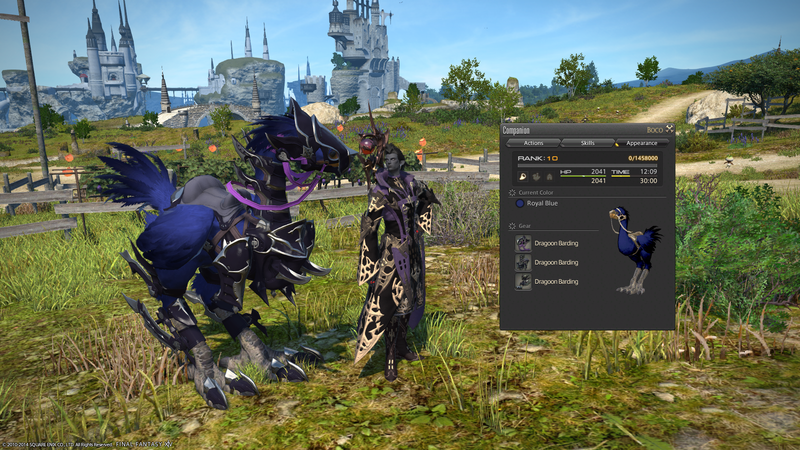 Here is my chocobo, Beliskner. 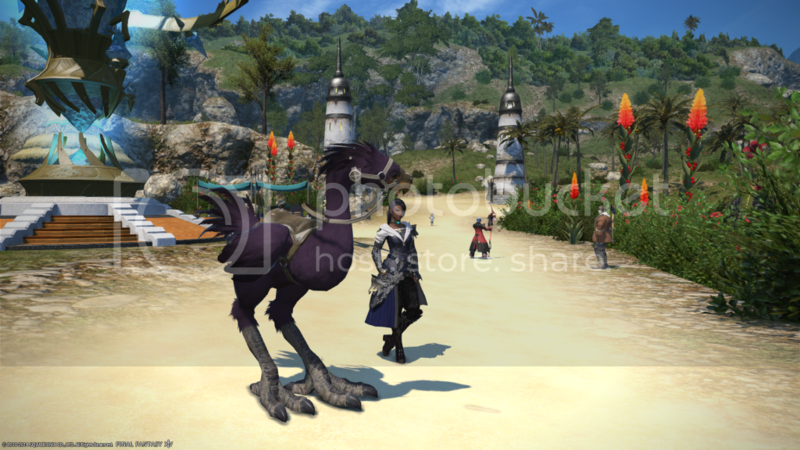 he is Shadow Blue. 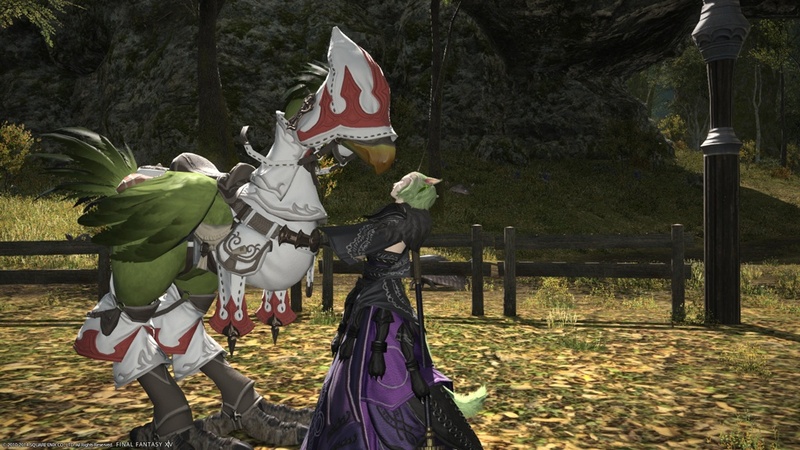 The First Law of Roegadynics: "A Roegadyn may not injure a Lalafell or, through inaction, allow a Lalafell to come to harm." 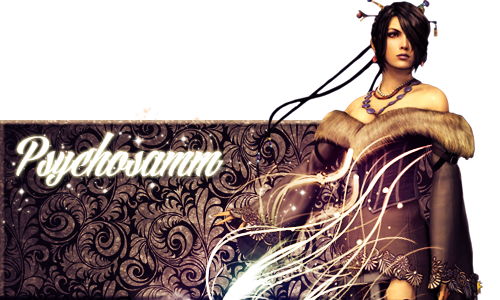 Last edited by Yamimarik; 05-07-2015 at 05:15 AM. 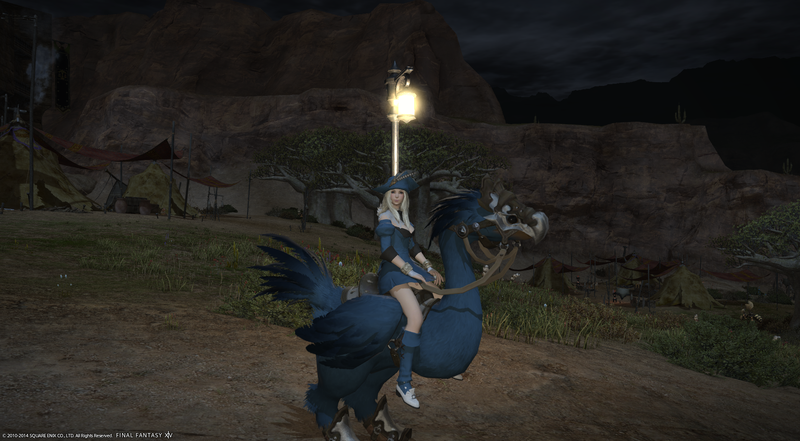 This is when Lune was Seafog Blue!